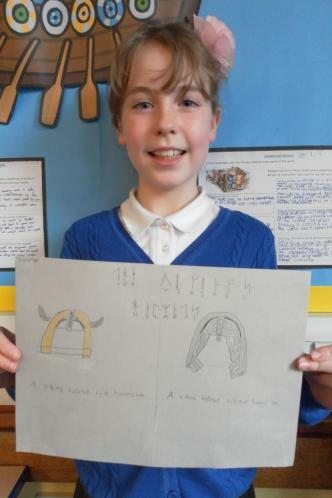 Will has brought in some wonderful Viking artefacts for us to look at, including a pair of handmade leather shoes, keys, braid, a bowl made from horn, a string of glass and bone beads, a trefoil brooch, which is a love token and balls home dyed spun wool. 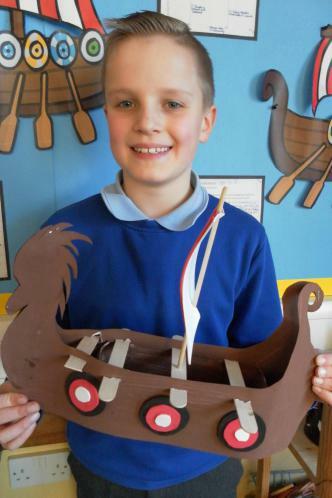 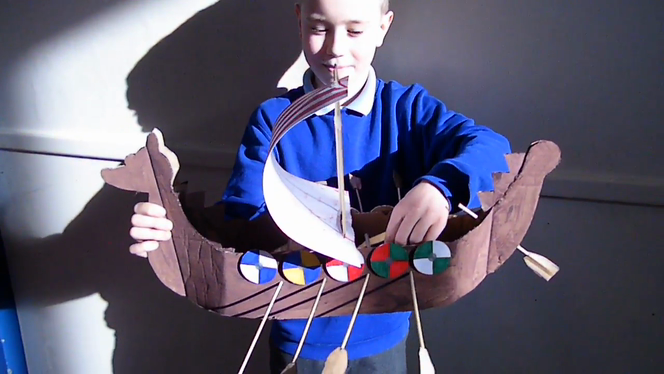 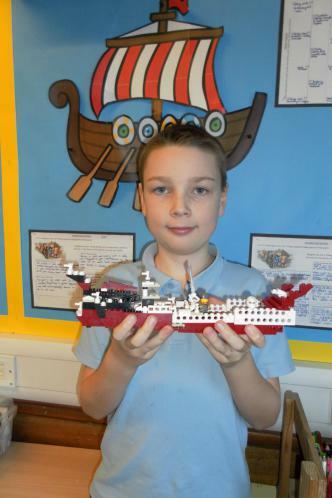 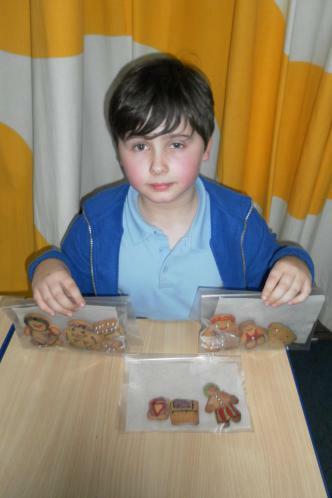 Thank you Will we have really enjoyed examining these artefacts and hearing the story that goes with them. 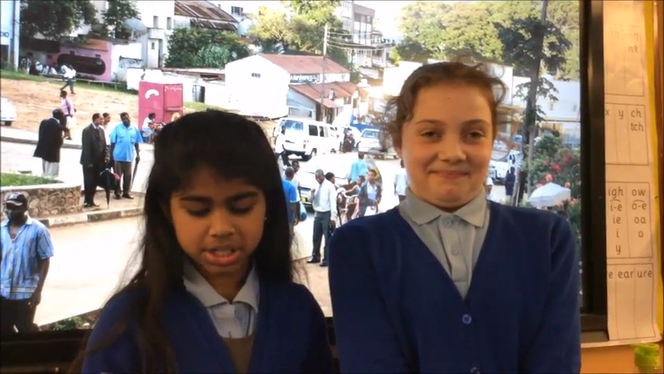 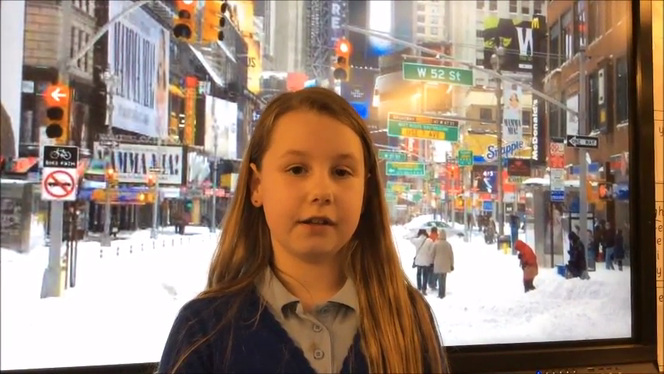 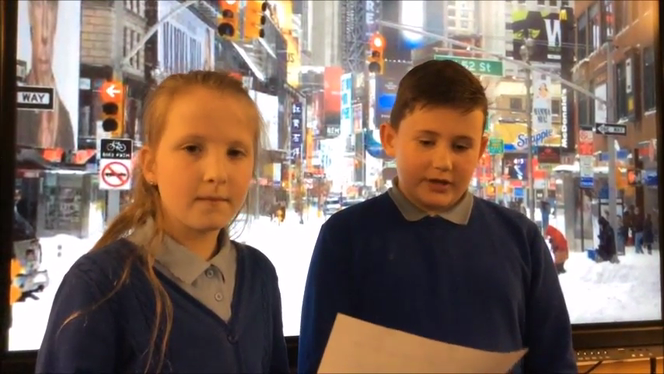 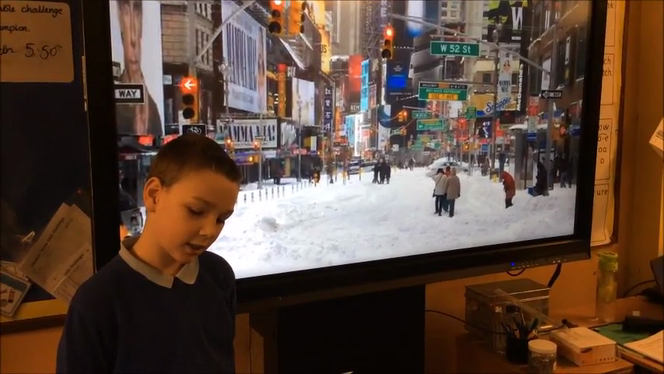 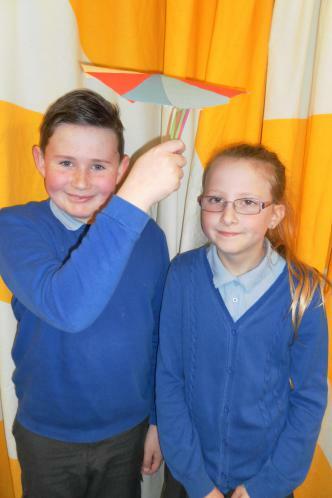 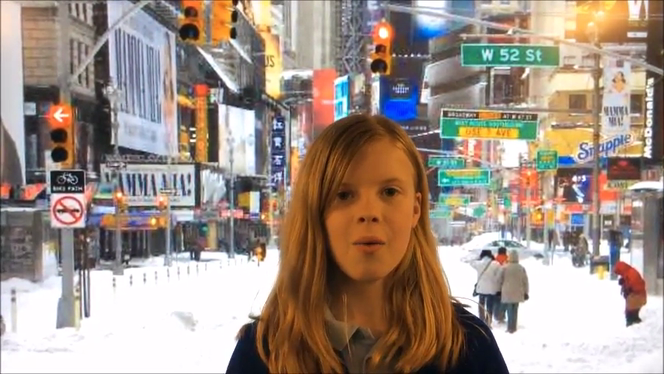 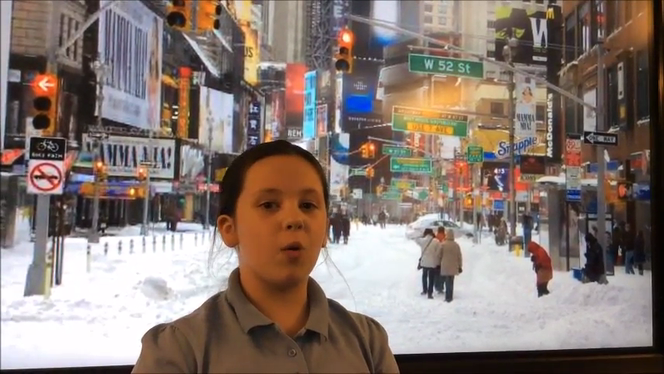 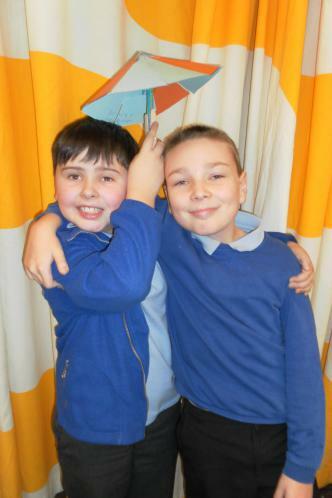 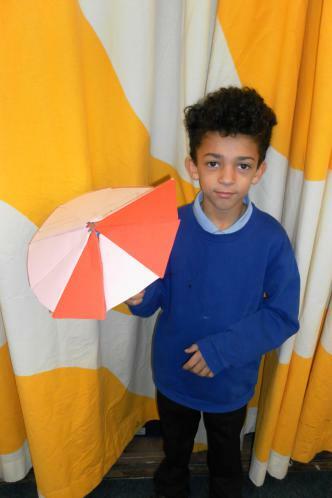 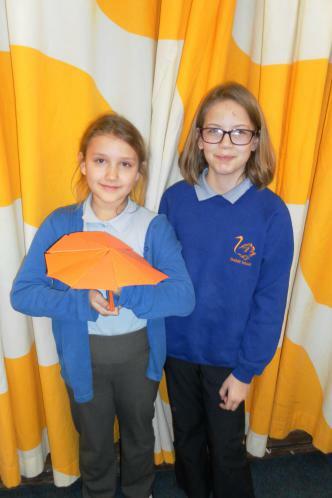 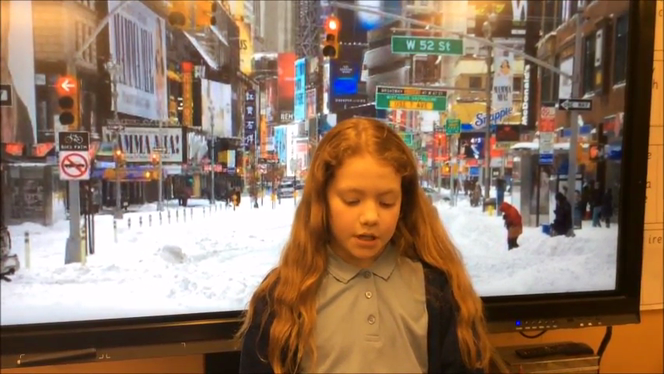 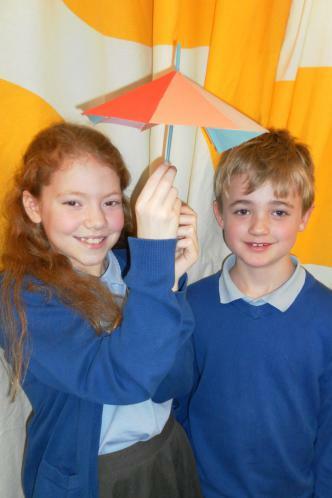 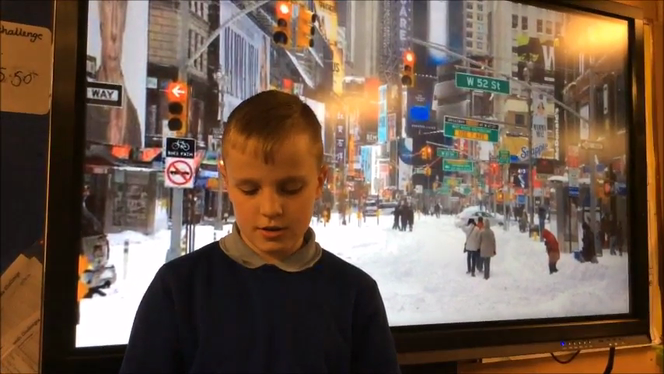 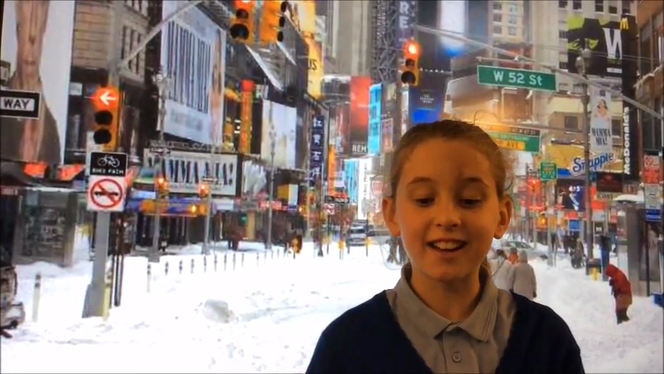 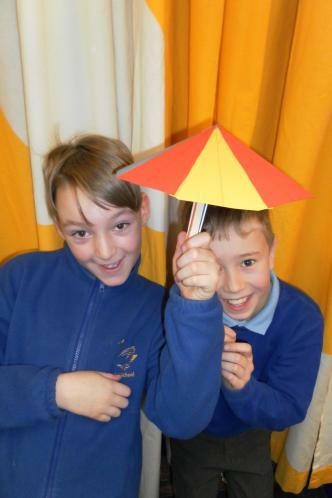 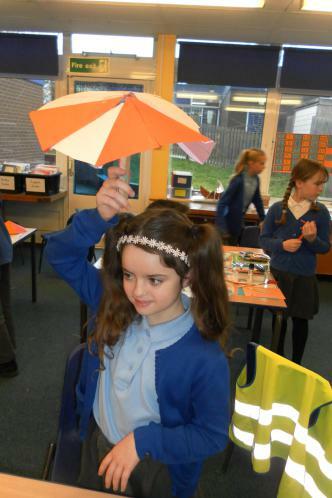 This afternoon we had fun filming ourselves as weather forecasters reading the information we had researched. 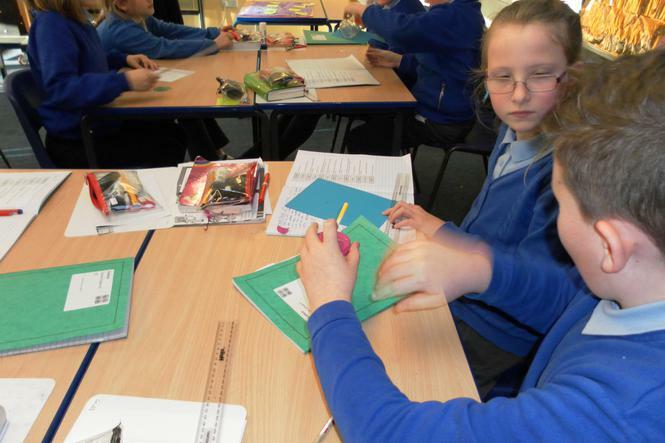 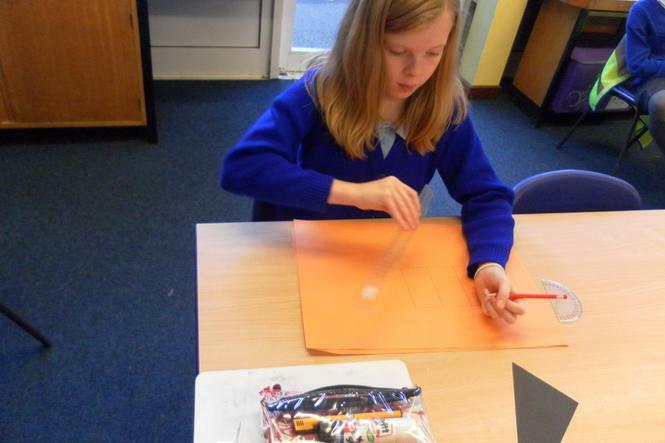 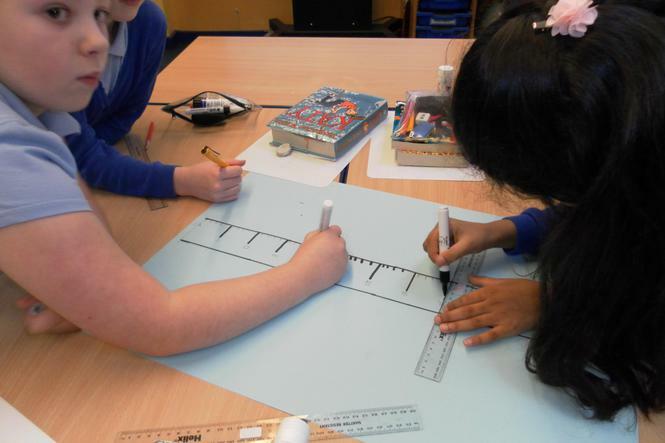 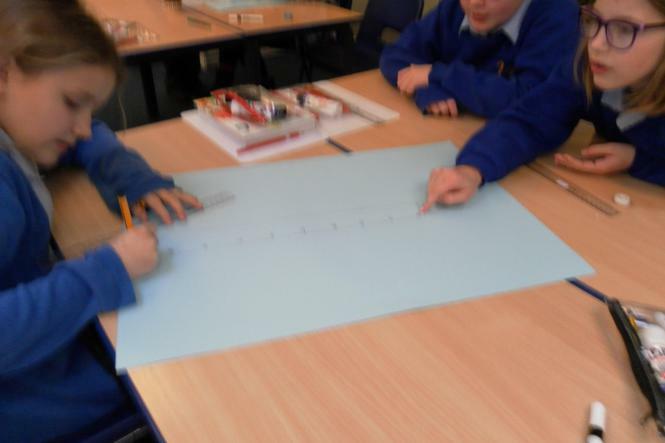 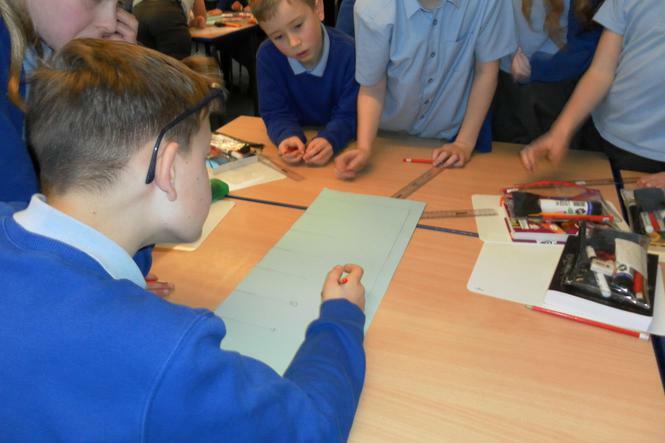 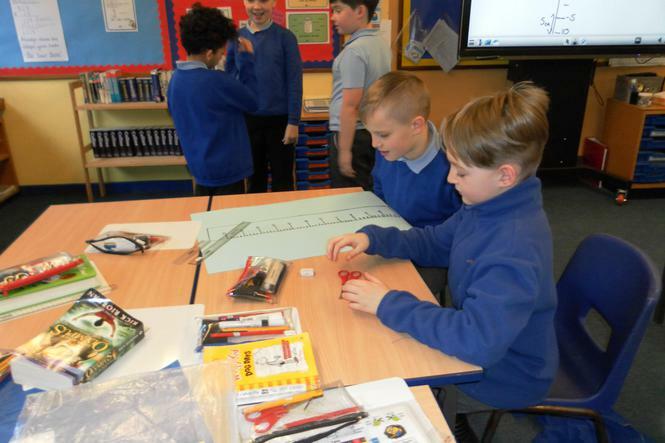 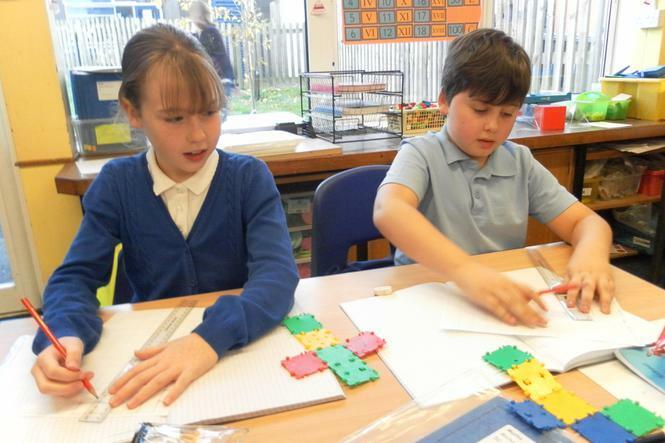 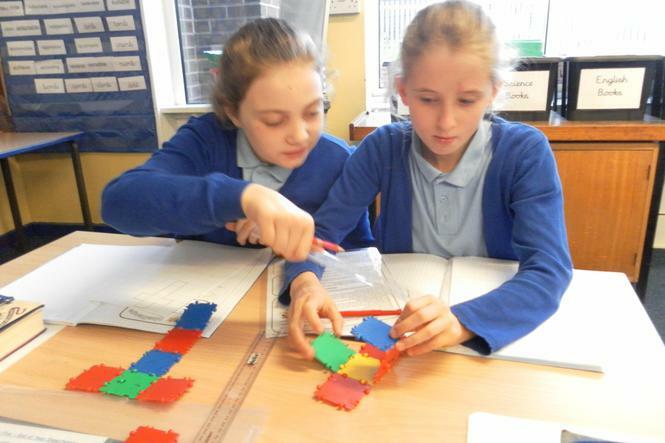 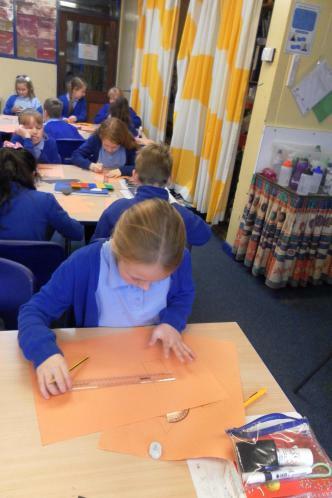 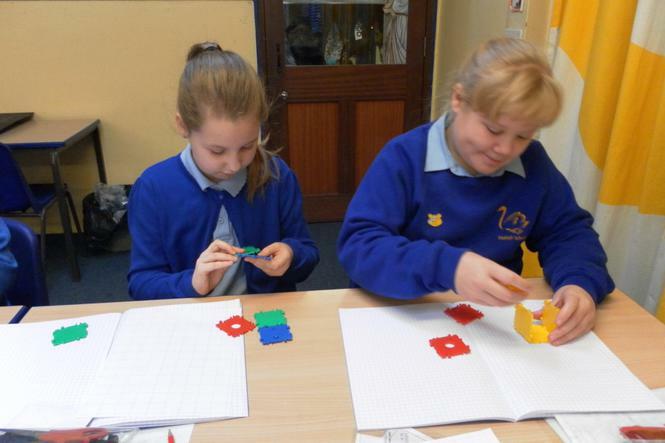 Today we created thermometers using scales and negative numbers. 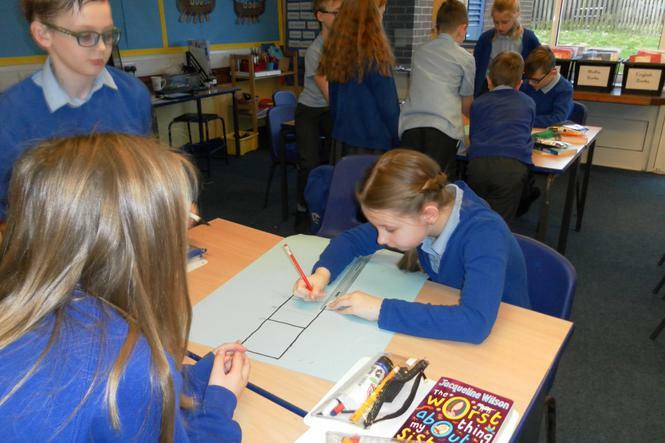 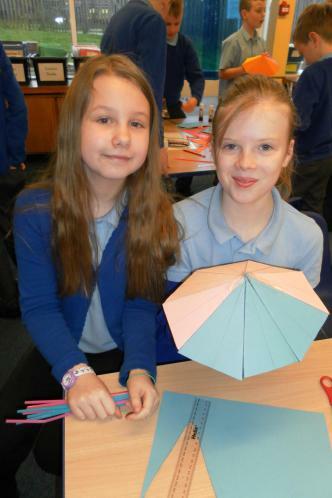 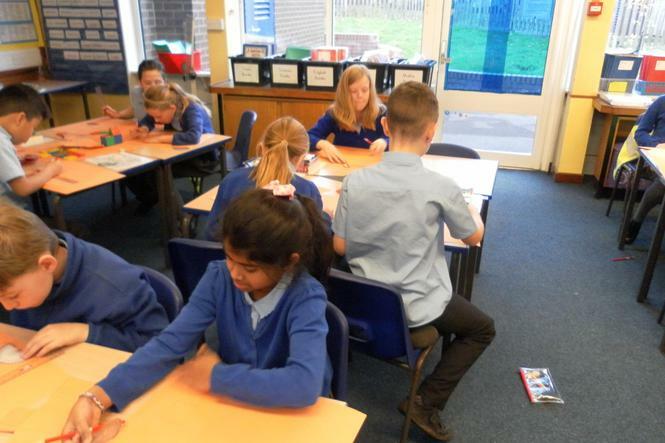 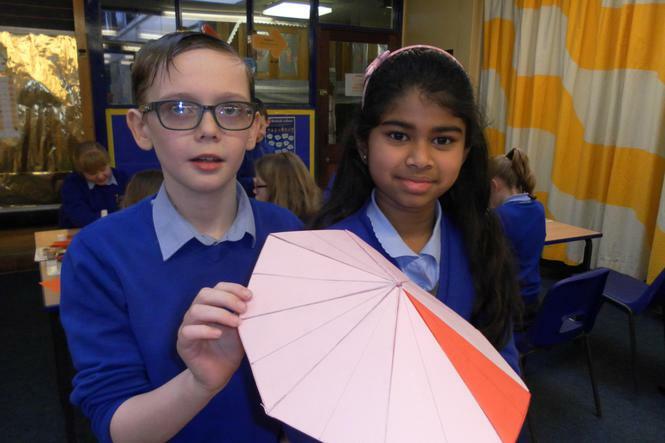 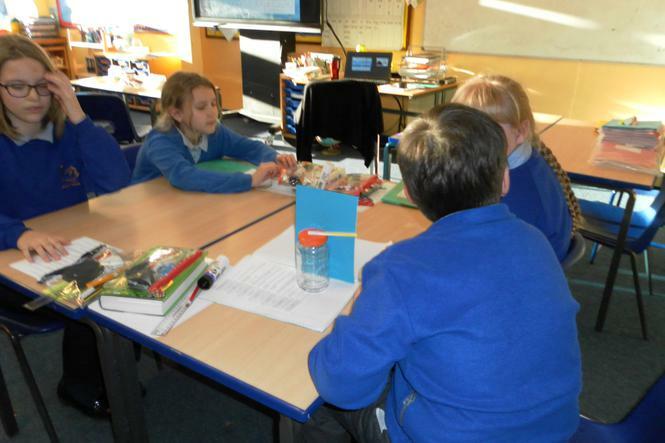 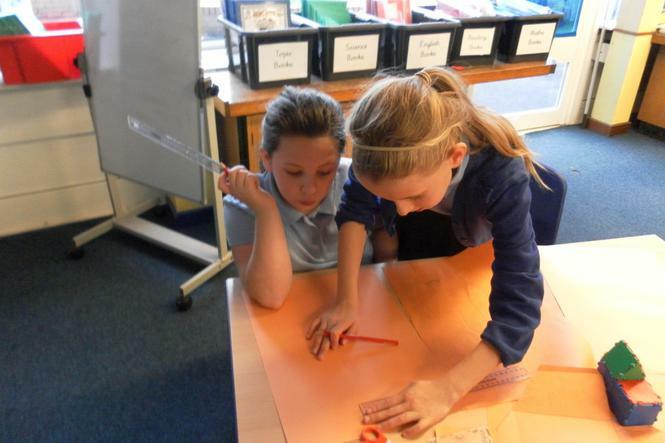 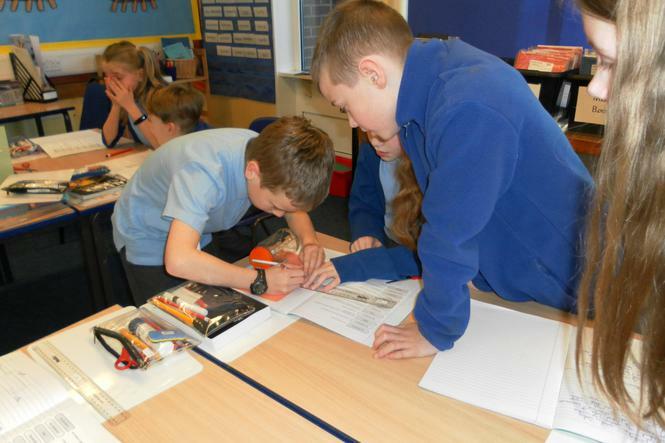 We worked in groups and used temperatures we had researched for creating our weather forecasts in New York and Malawi. 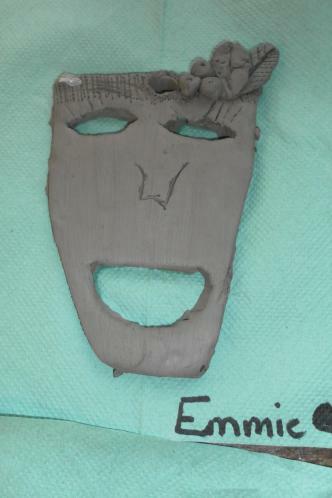 from clay. 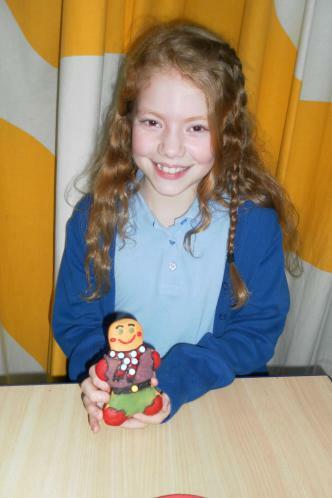 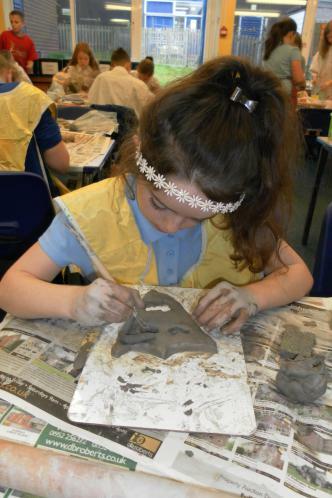 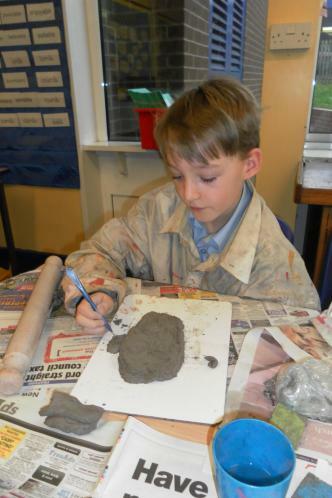 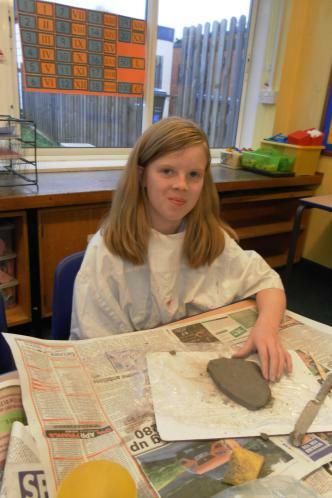 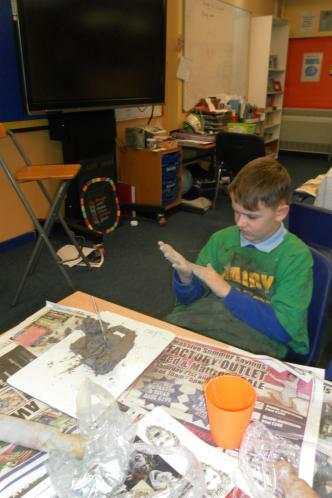 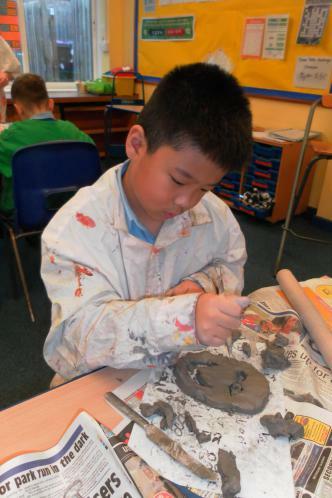 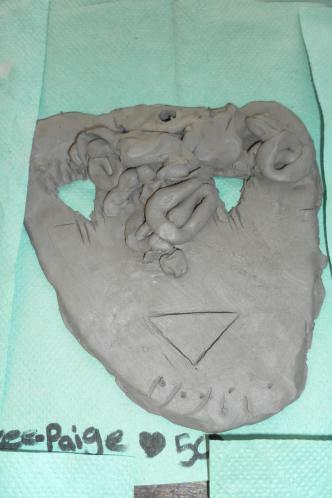 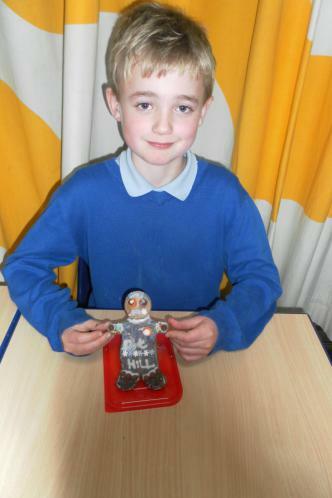 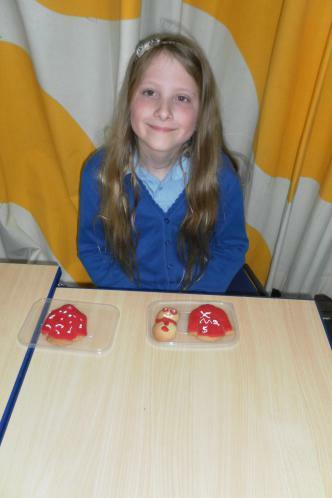 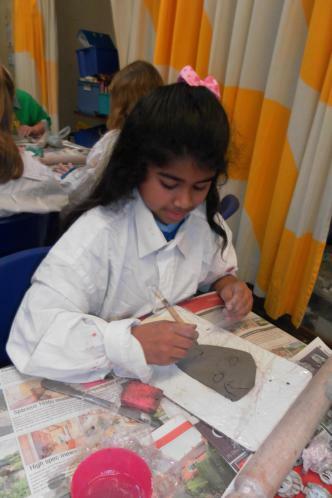 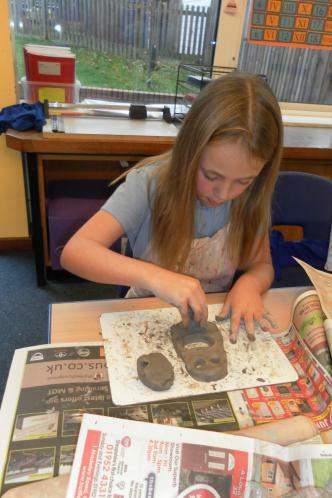 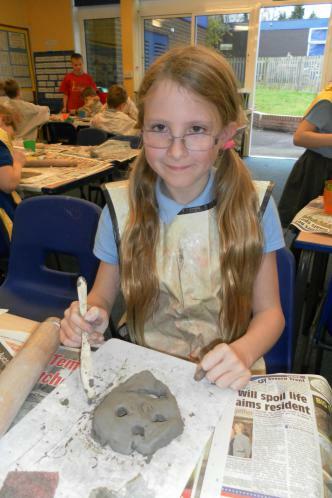 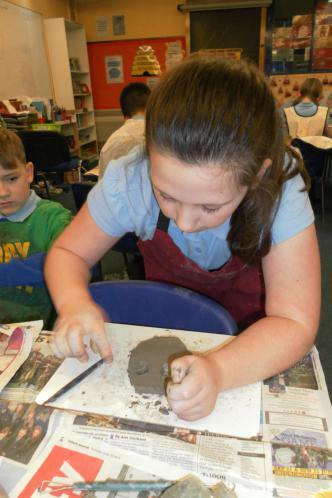 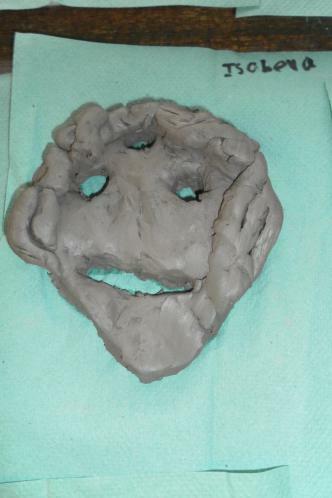 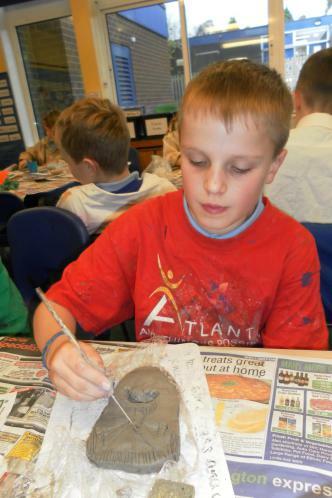 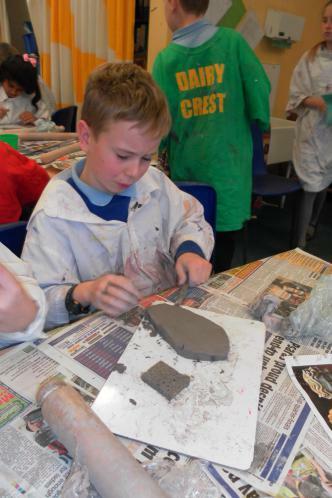 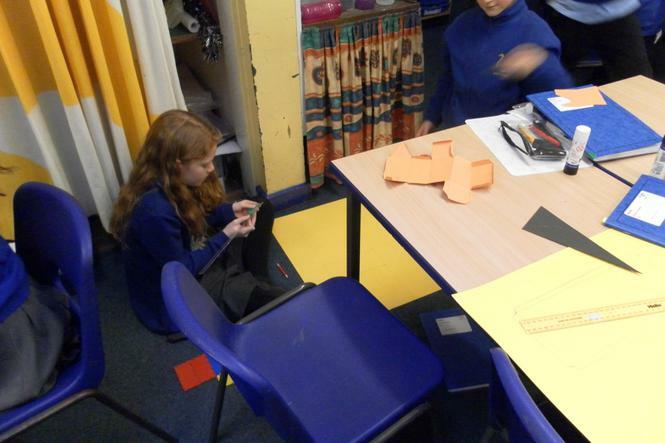 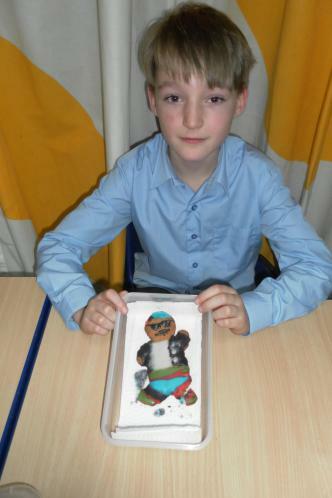 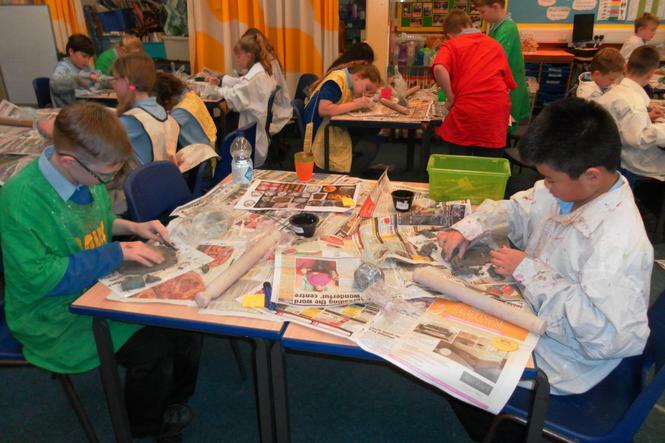 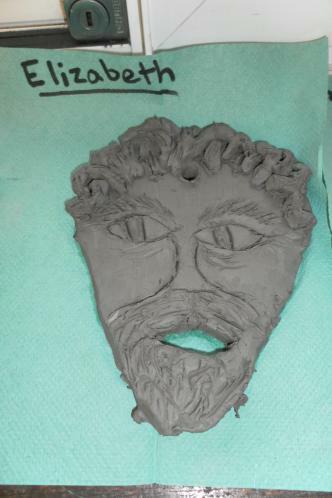 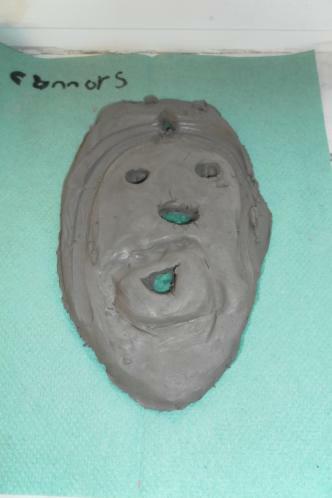 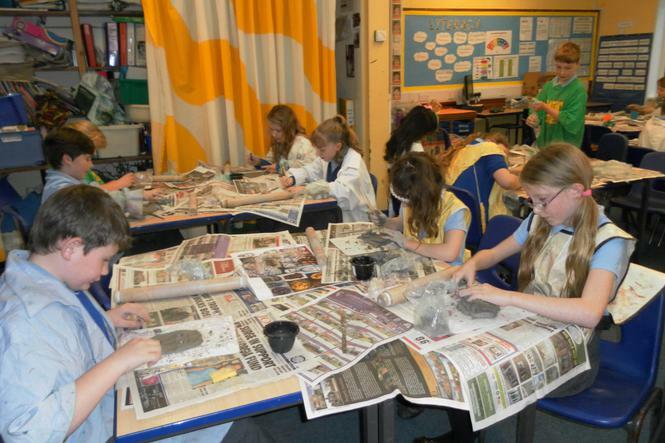 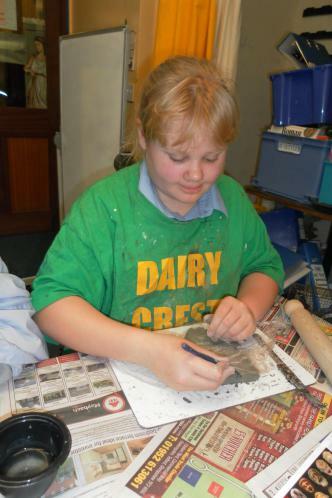 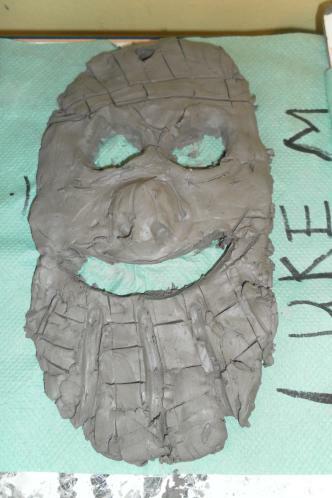 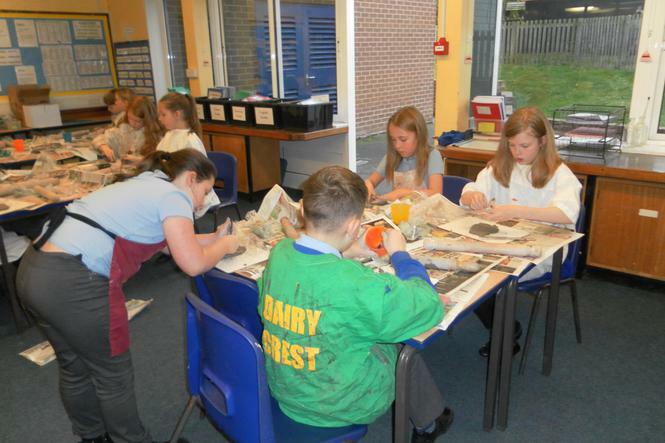 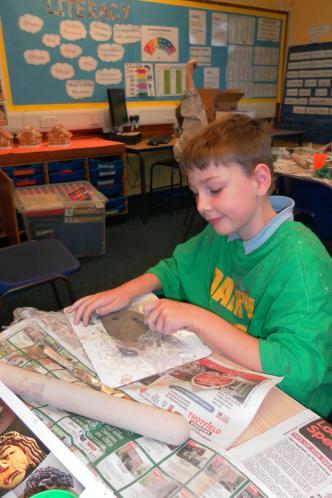 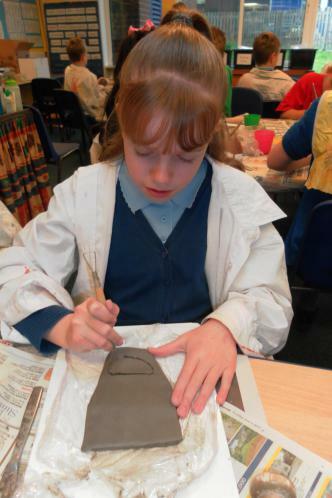 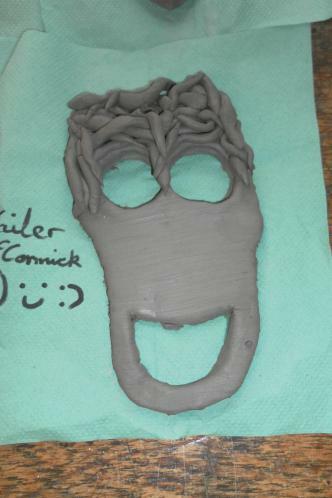 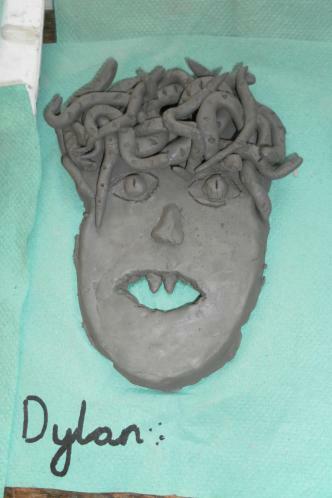 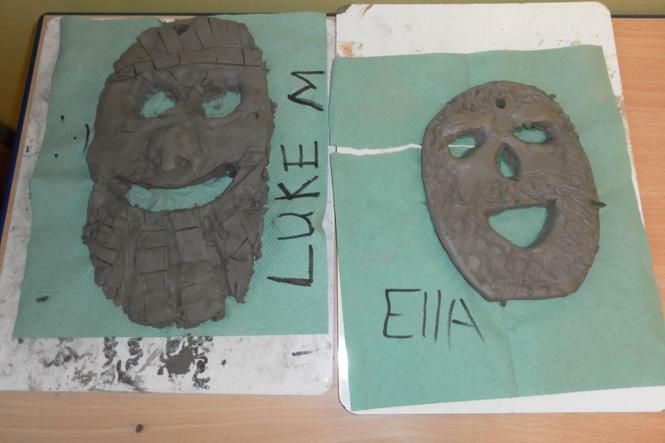 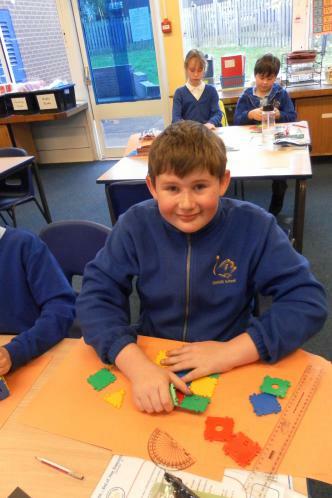 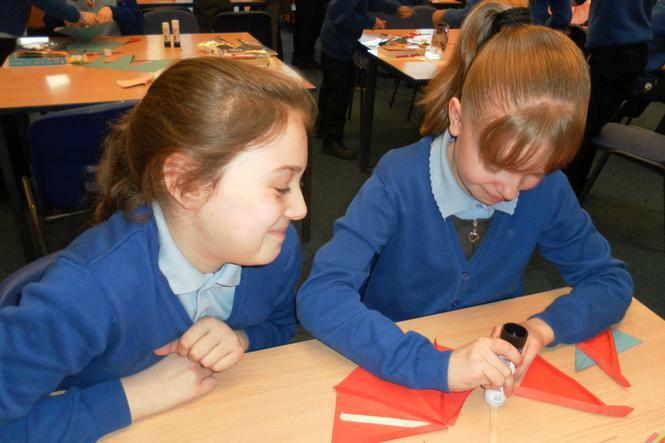 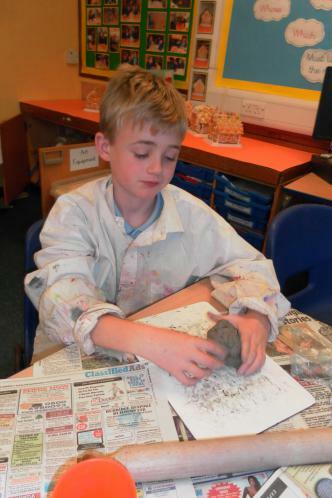 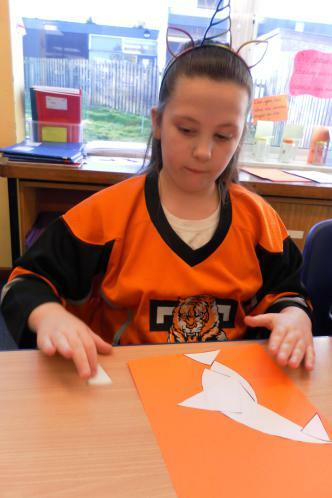 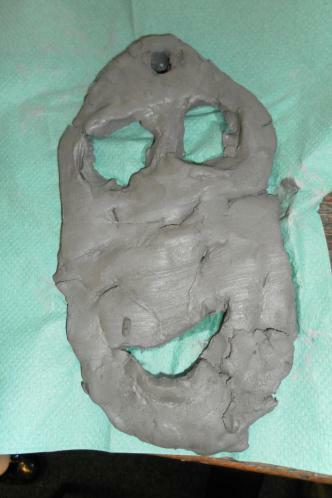 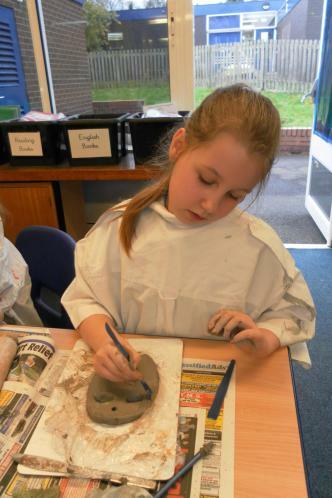 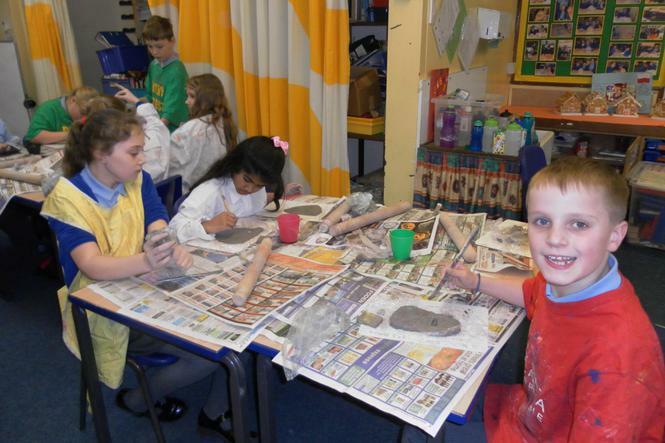 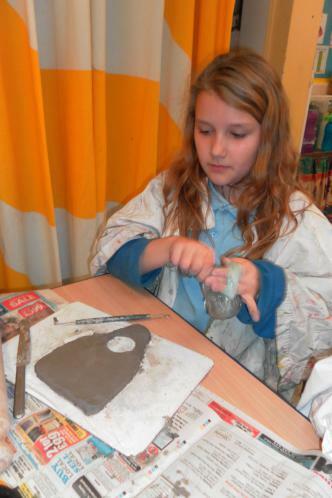 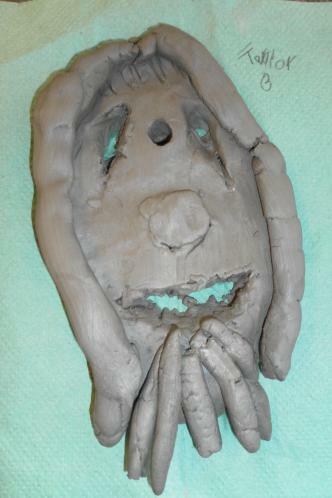 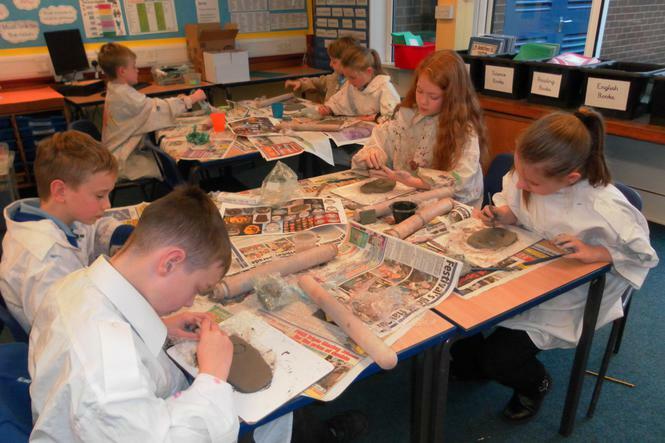 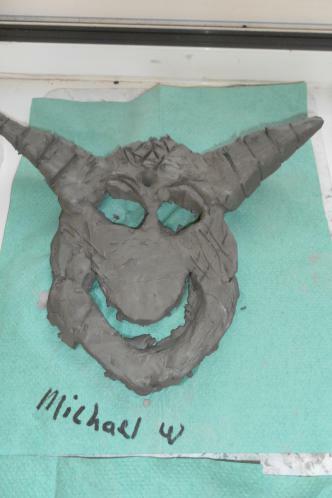 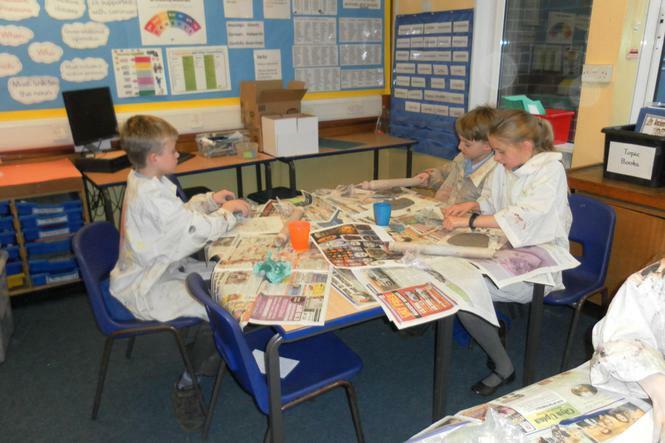 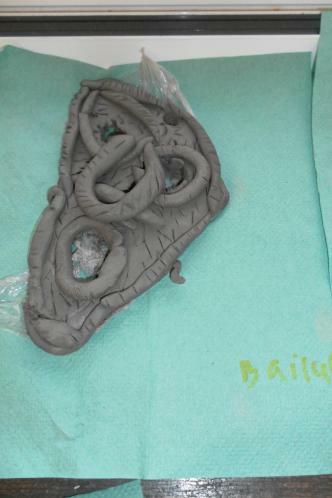 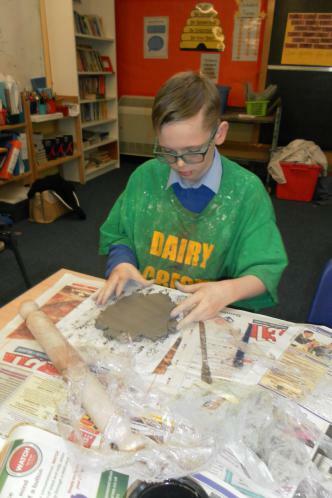 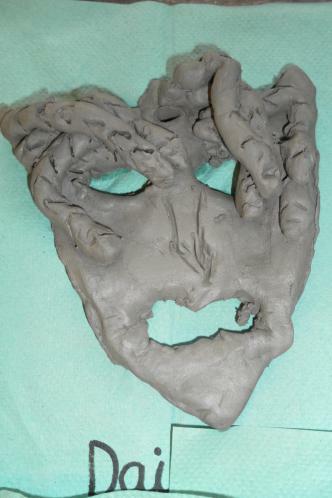 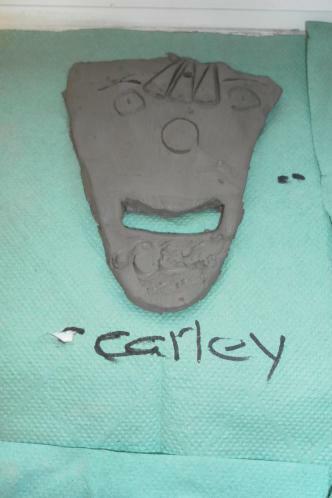 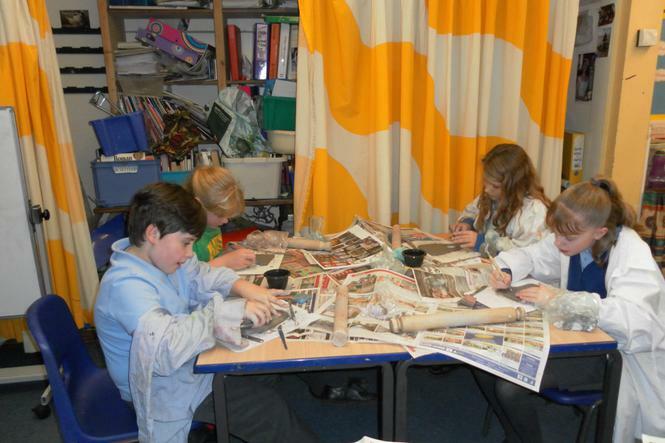 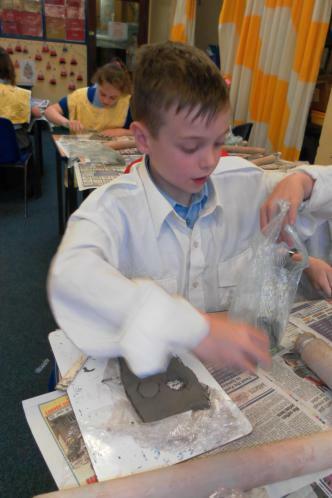 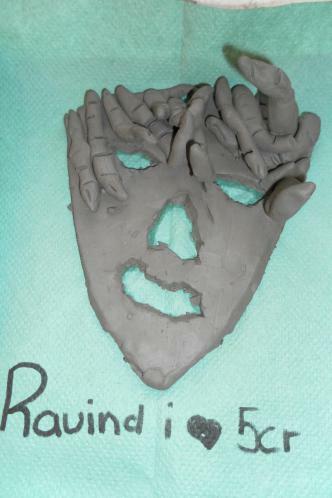 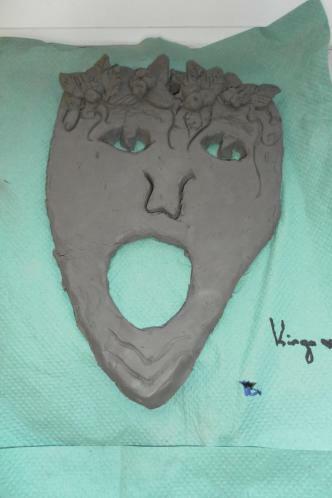 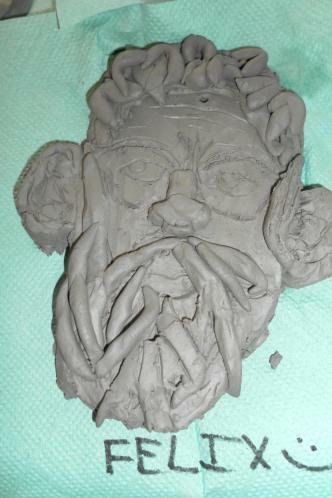 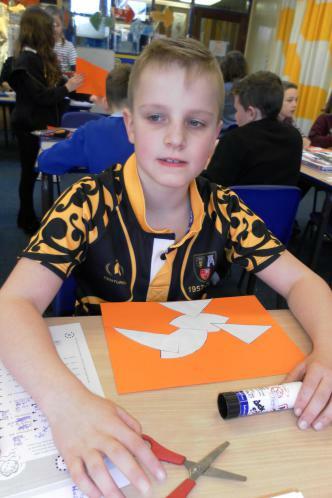 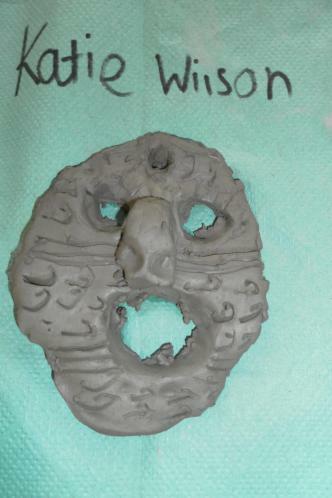 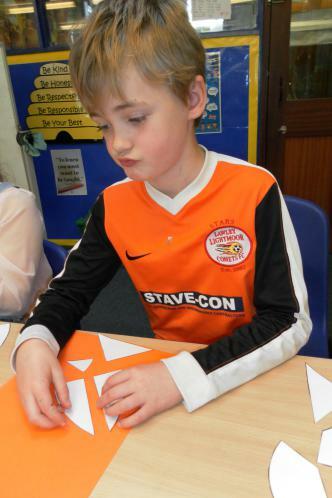 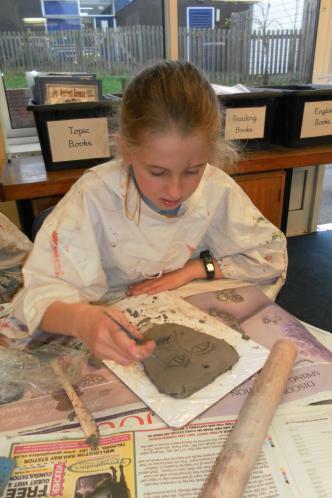 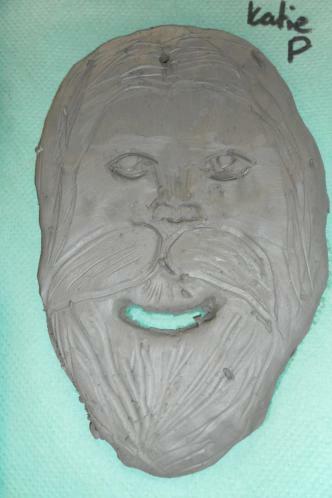 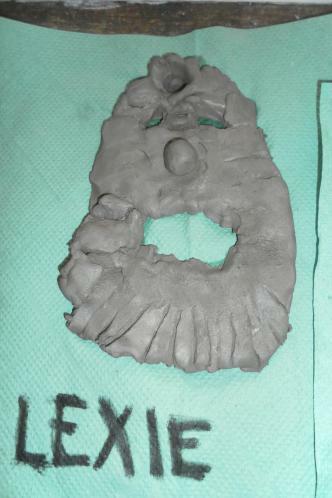 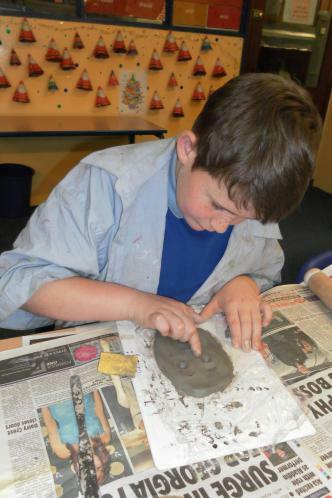 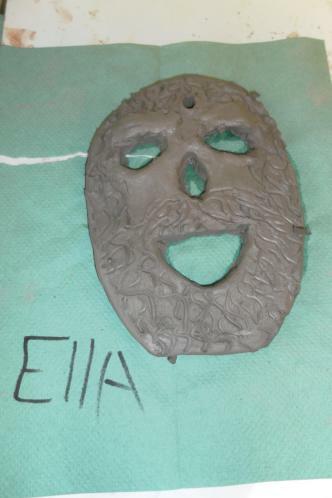 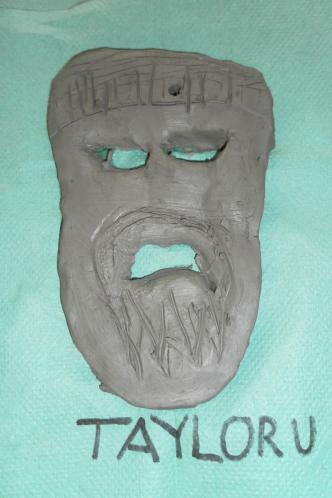 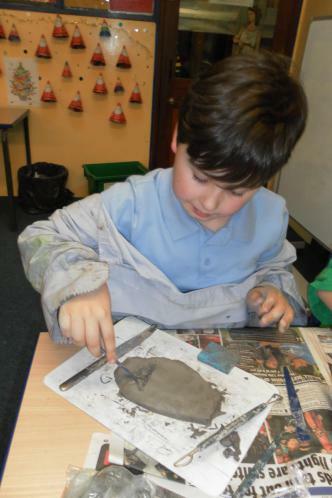 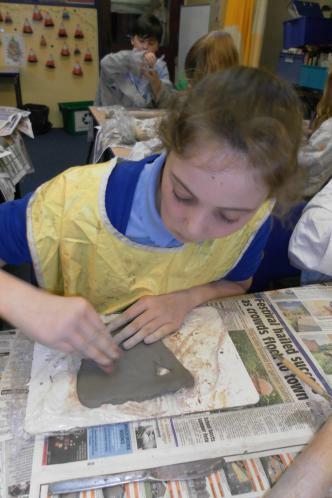 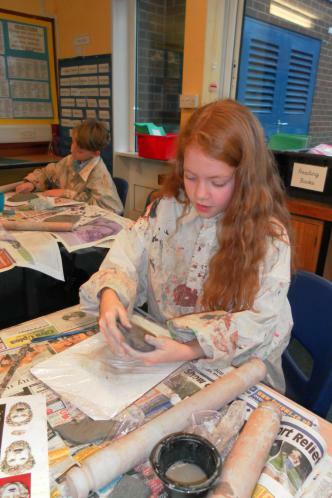 We will be adding more photographs once the clay has dried and we have painted them. 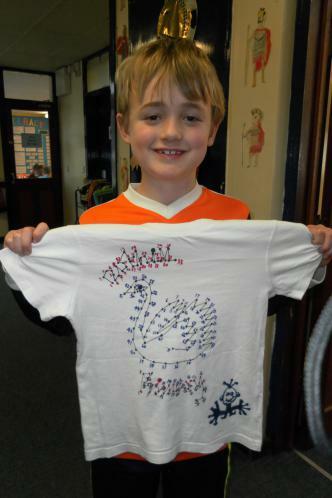 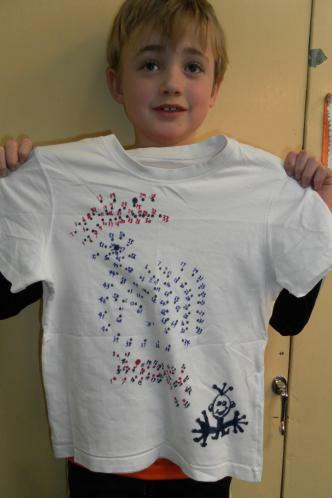 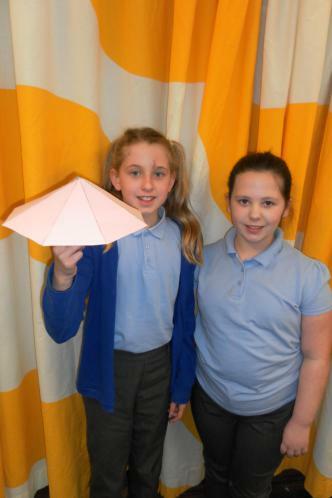 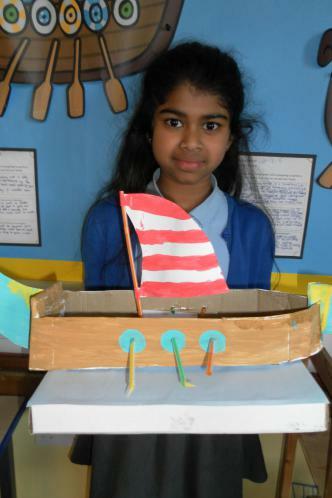 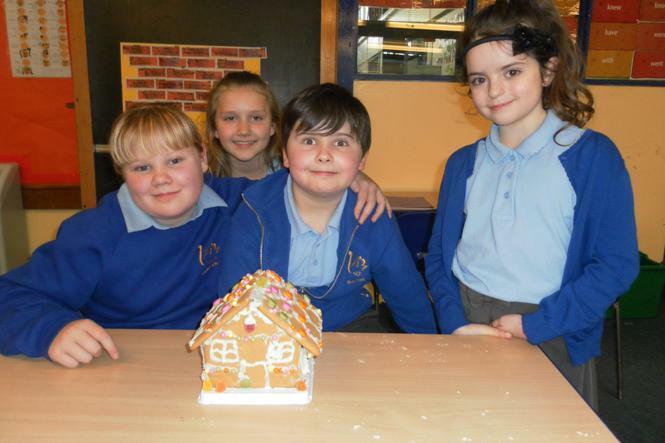 What a fantastic effort from everyone who took part in this class competition. 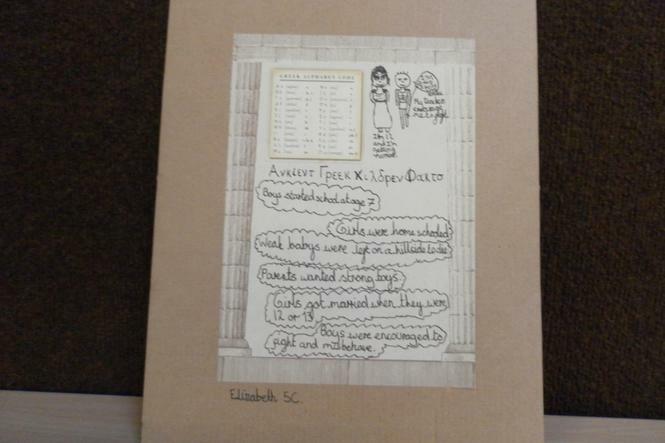 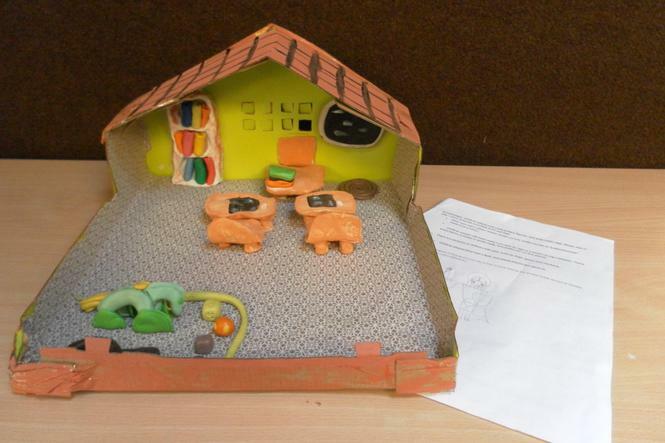 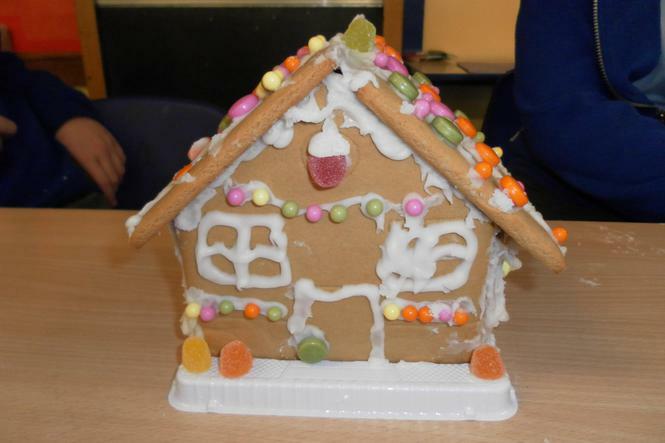 After much deliberation by our judges, Mrs Harvey and Mrs Rankin-McCabe, it was decided that Daisy was our winner with Kinga and Katie Priday coming joint second. 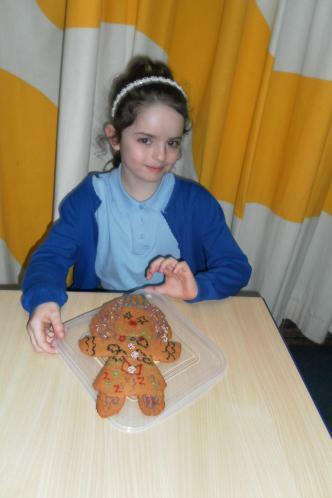 A big thank you and well done to everyone, every single gingerbread man/woman looked great. 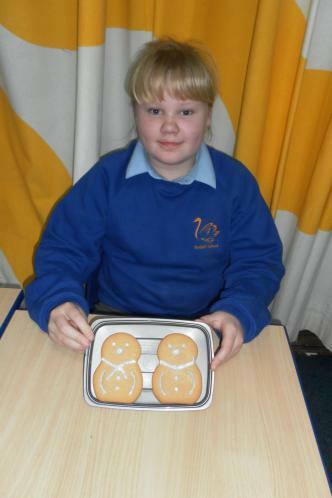 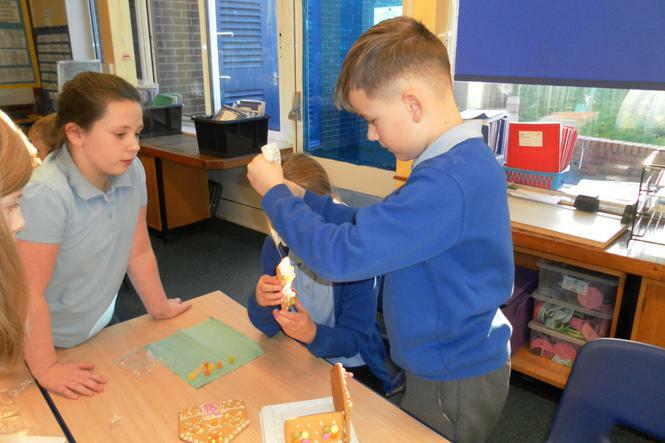 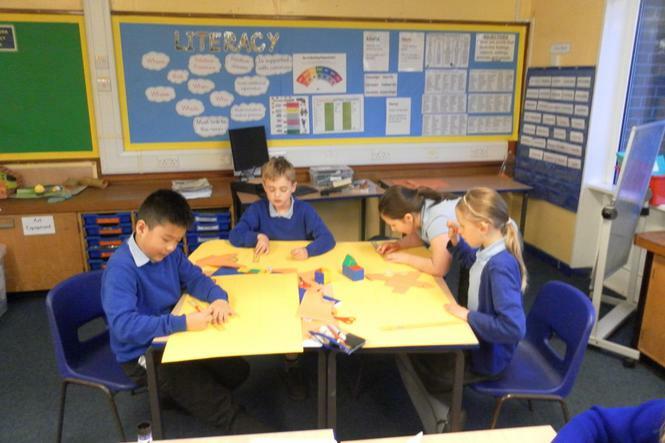 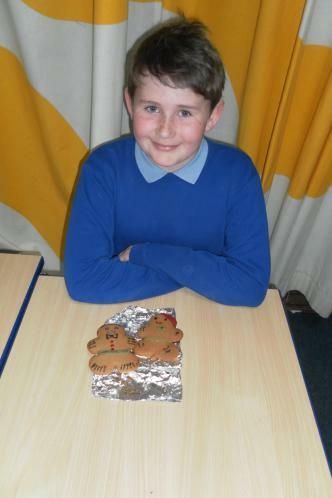 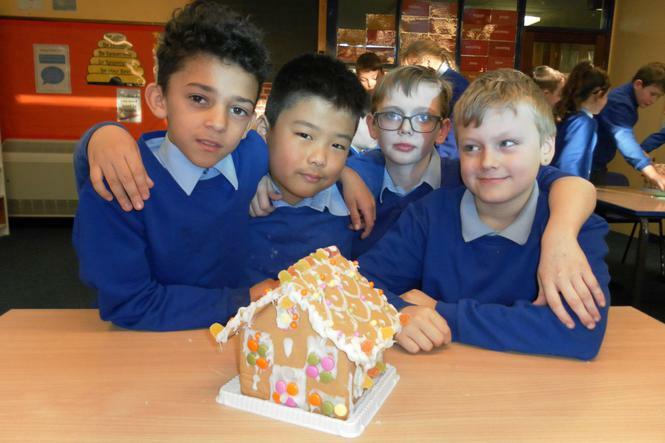 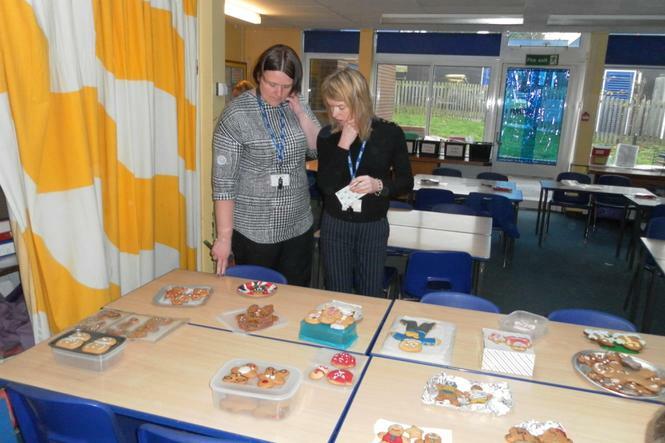 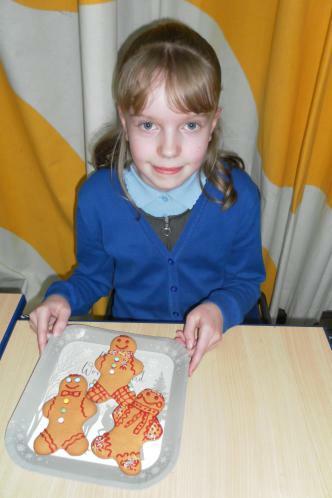 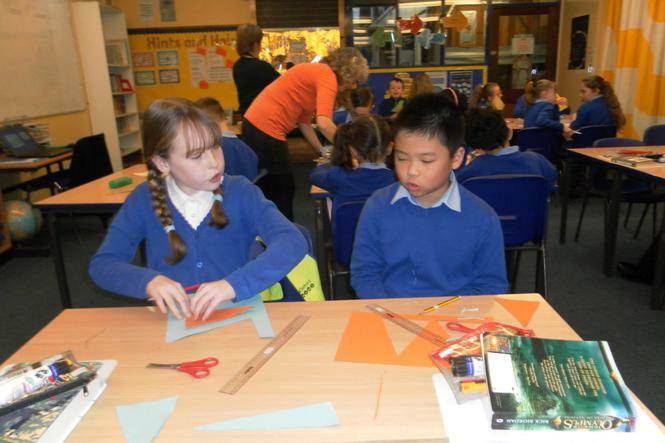 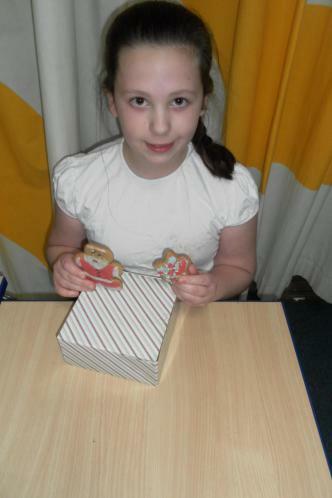 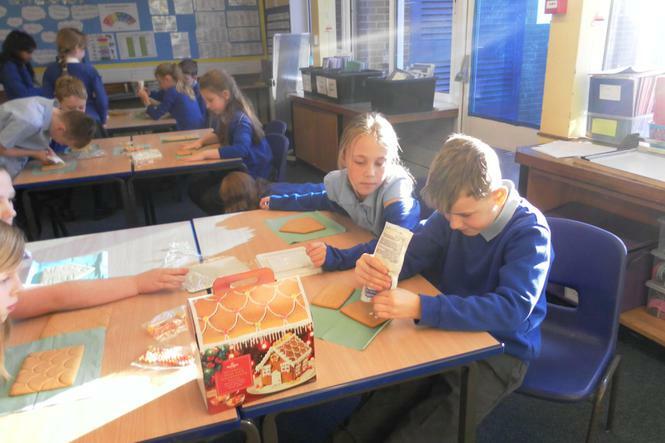 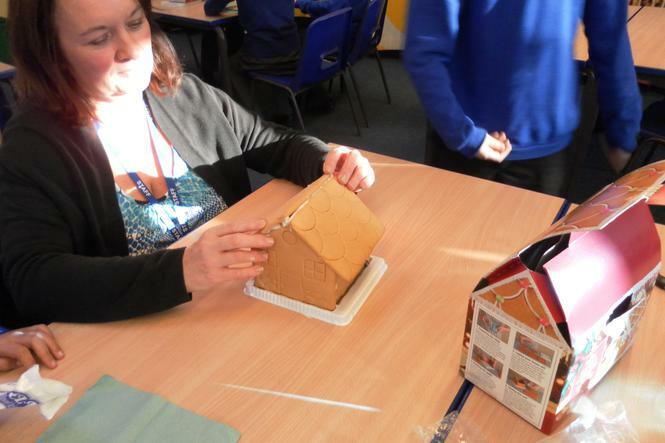 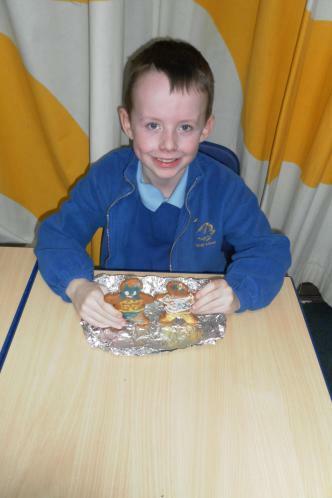 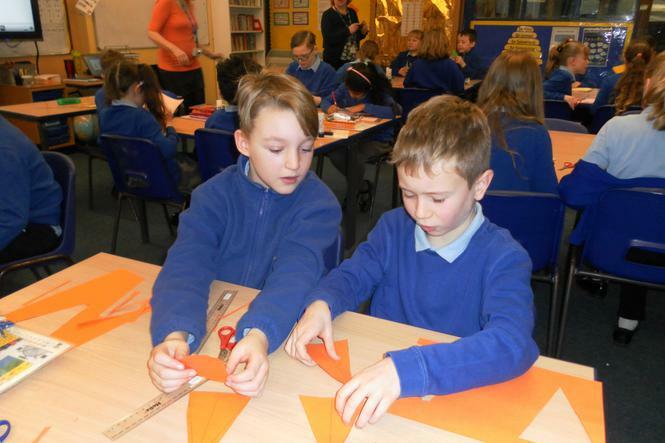 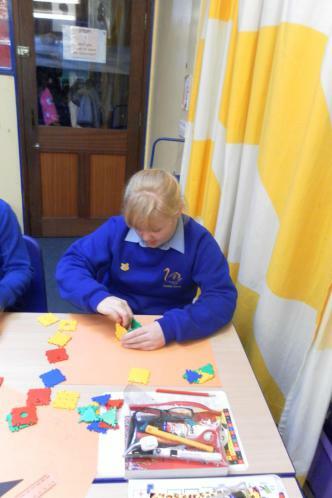 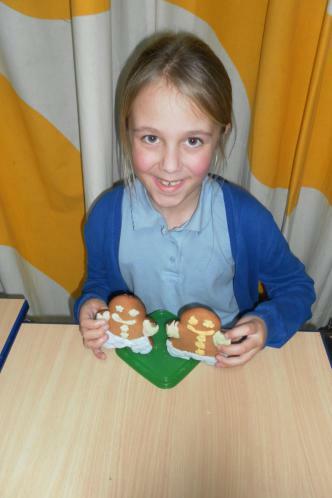 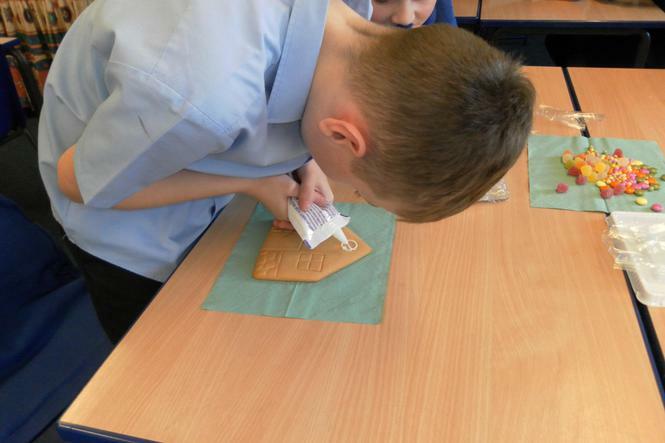 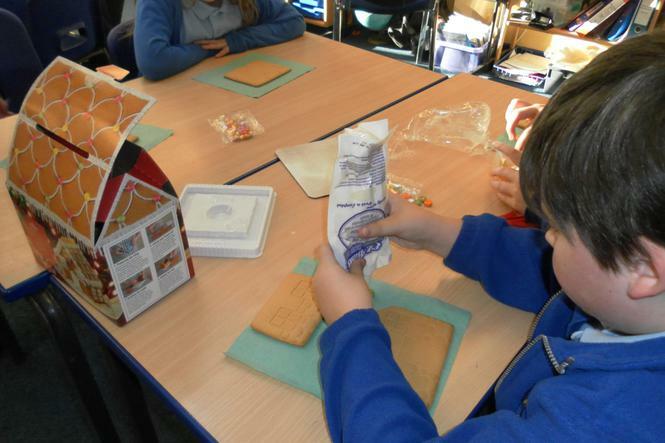 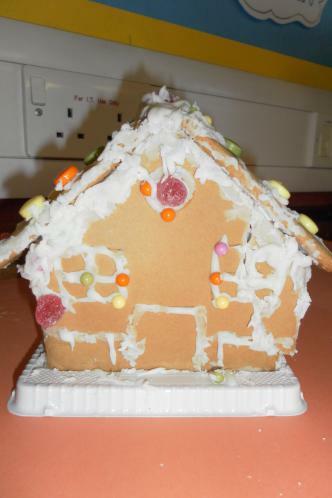 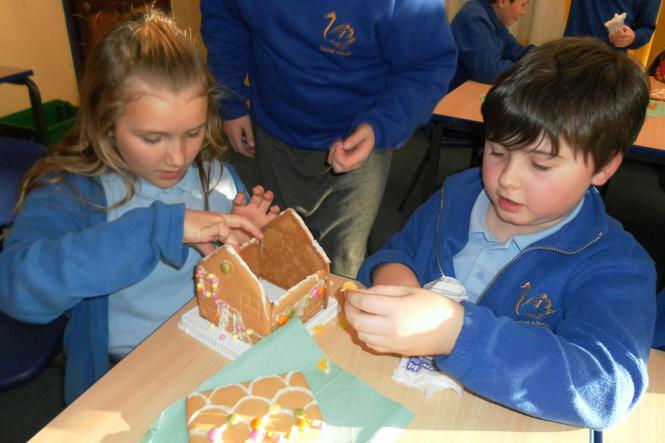 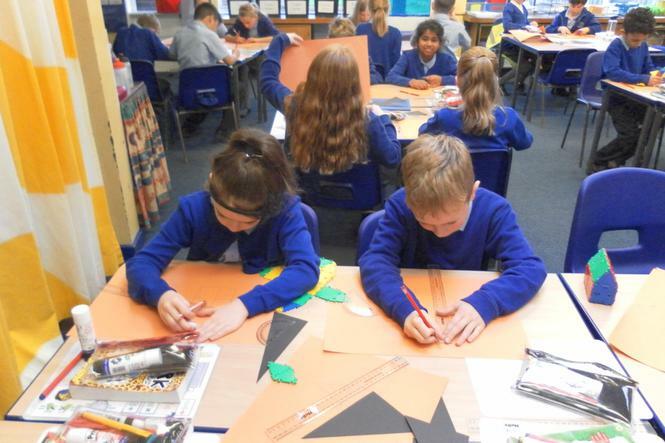 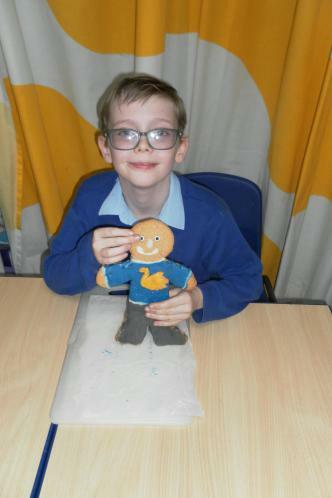 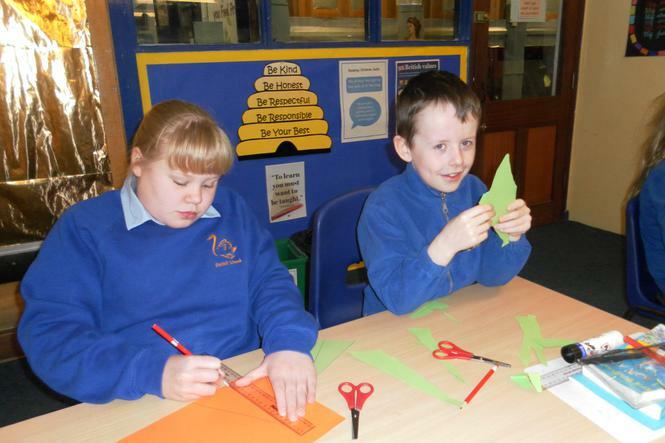 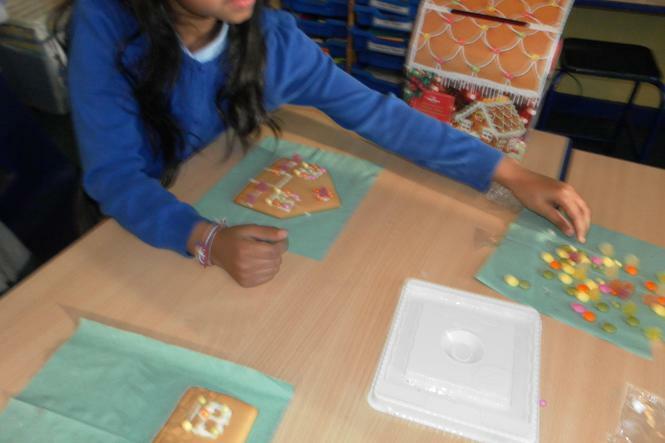 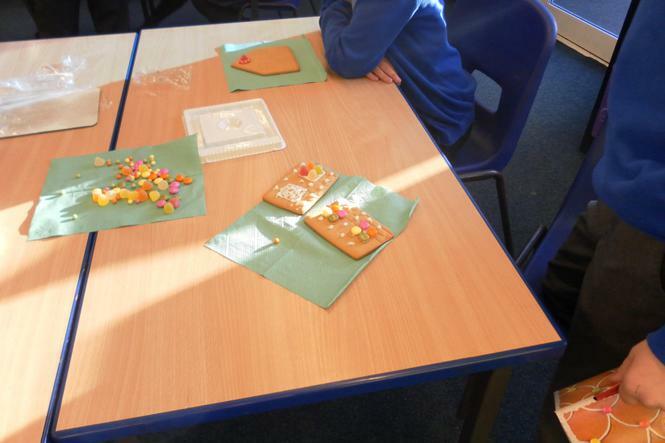 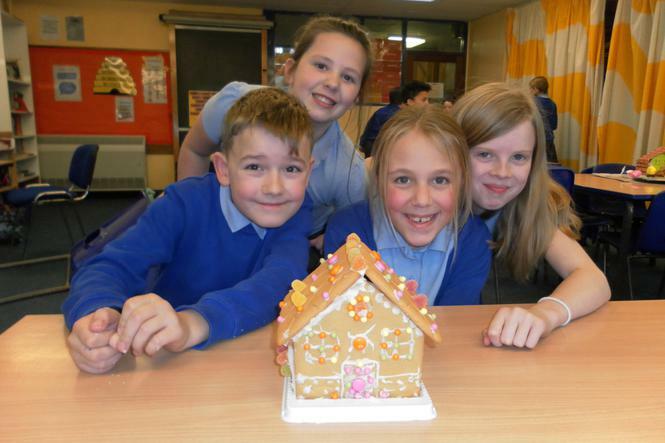 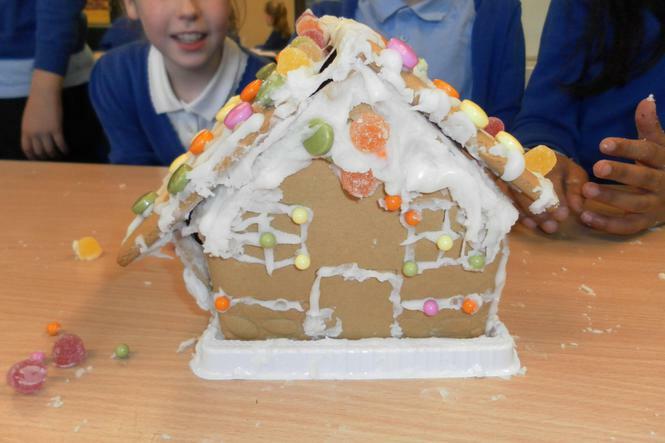 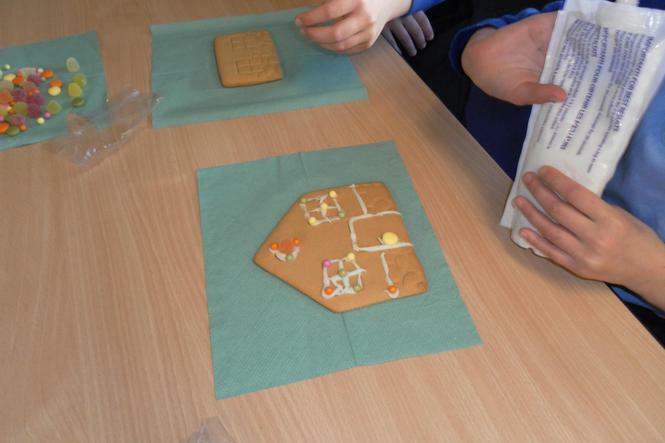 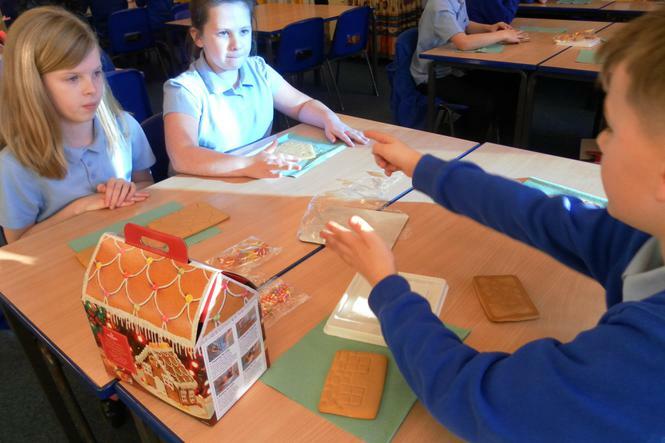 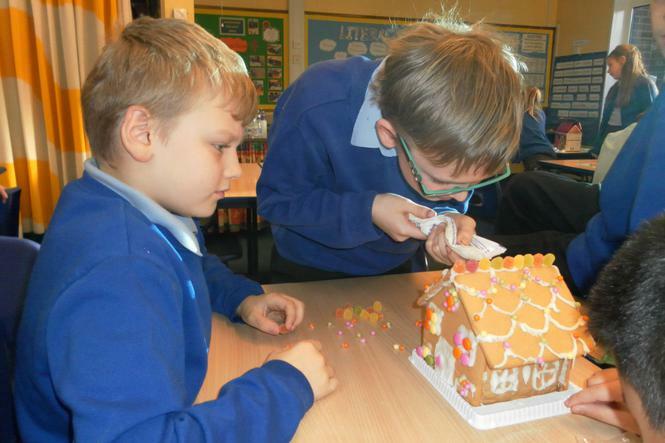 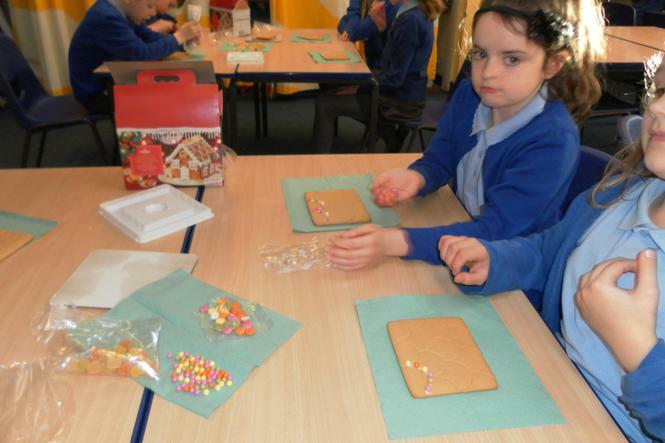 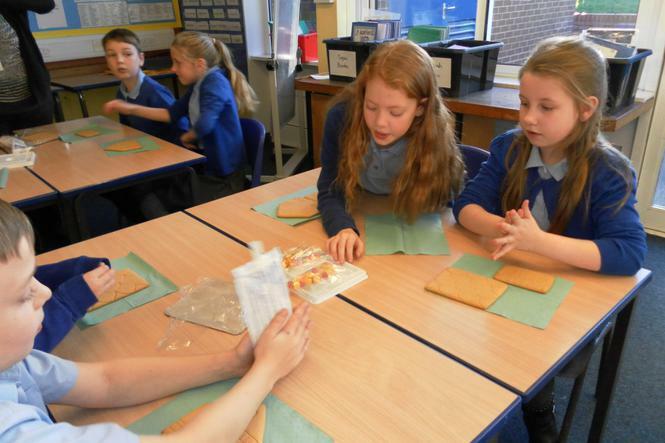 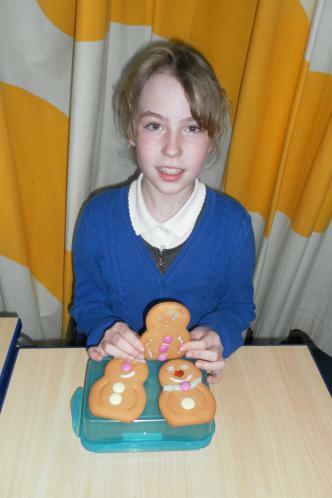 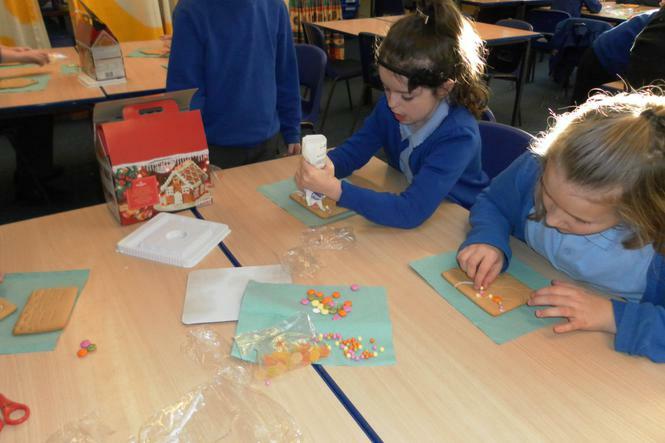 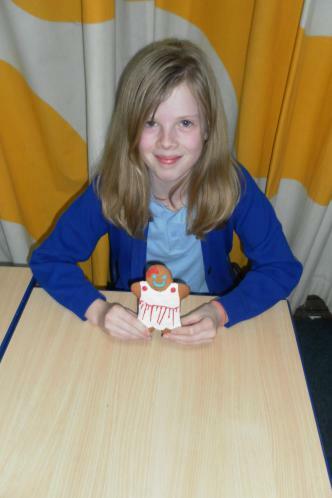 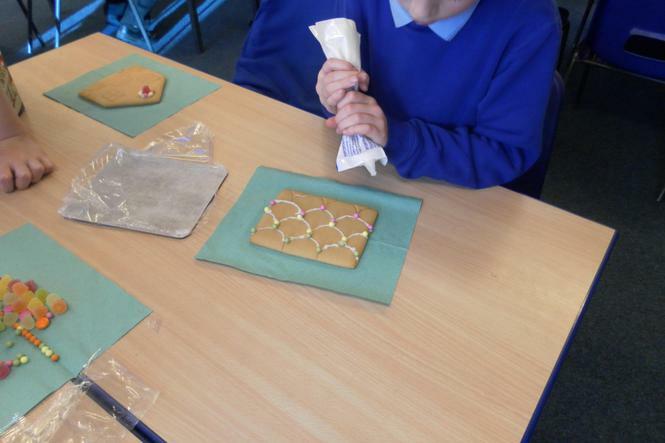 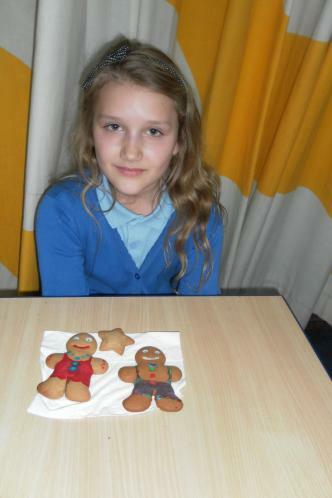 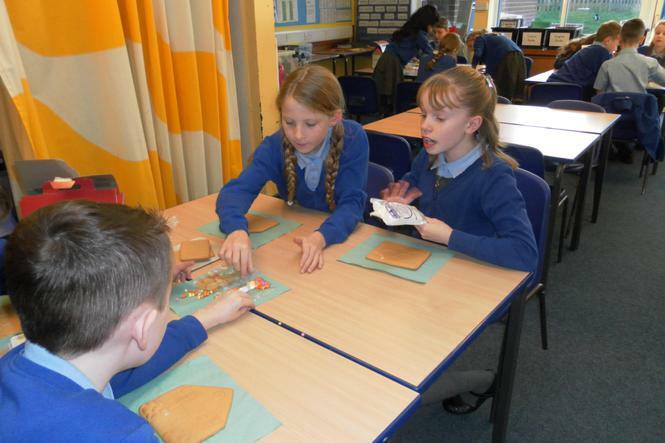 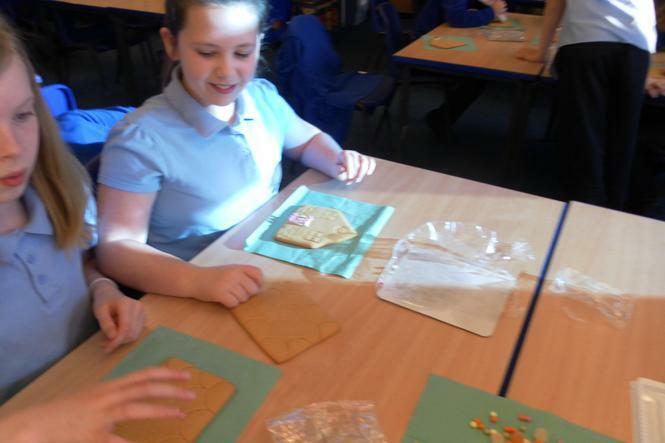 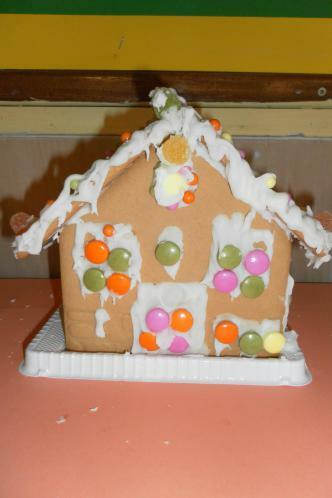 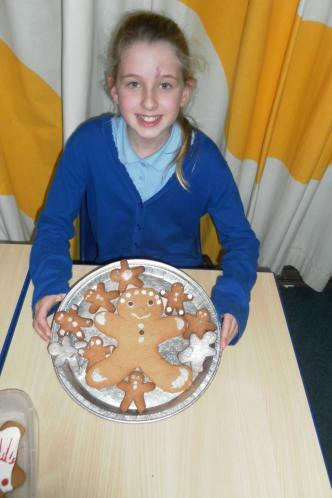 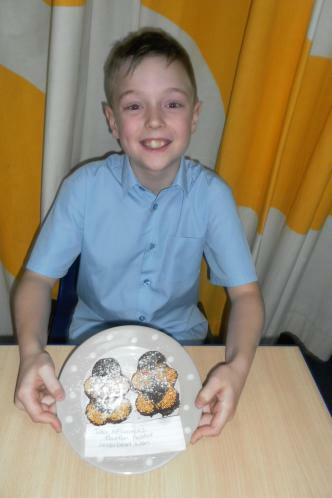 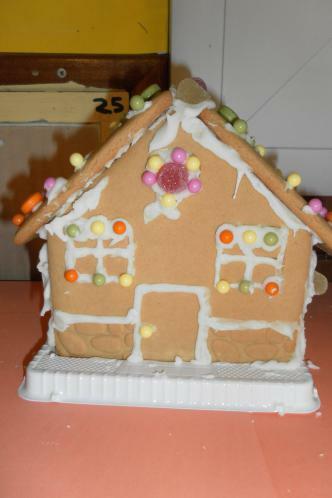 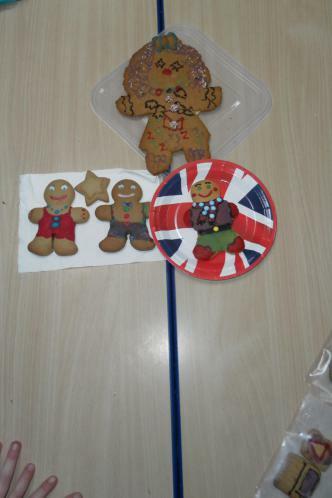 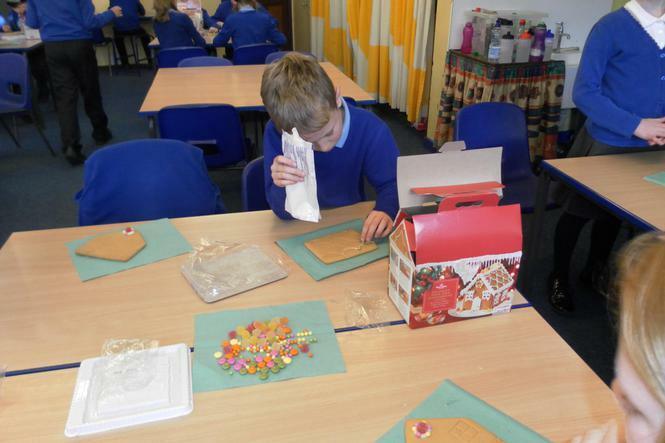 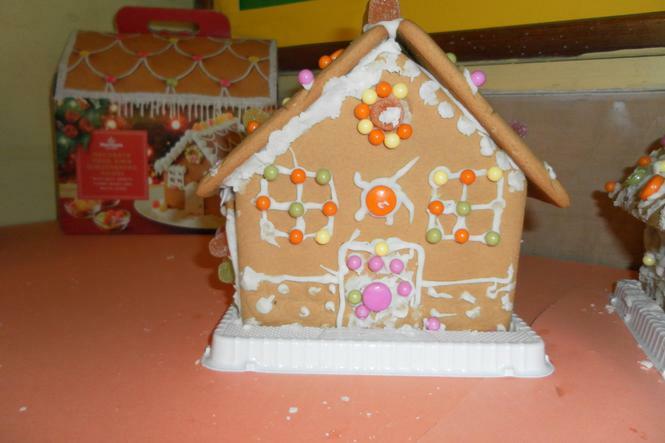 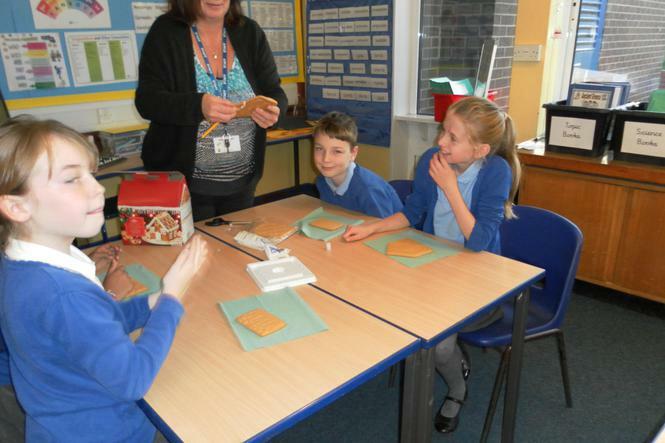 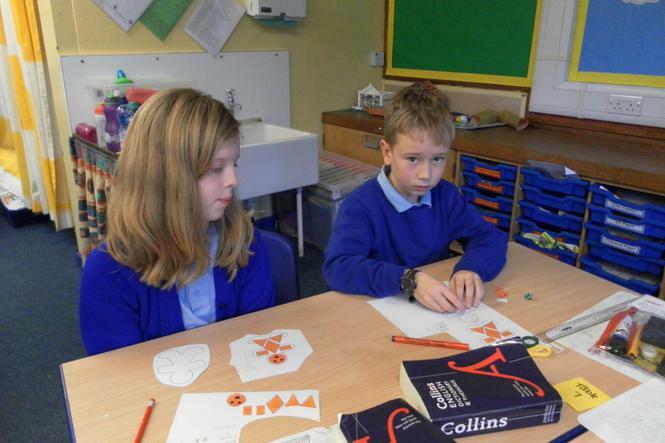 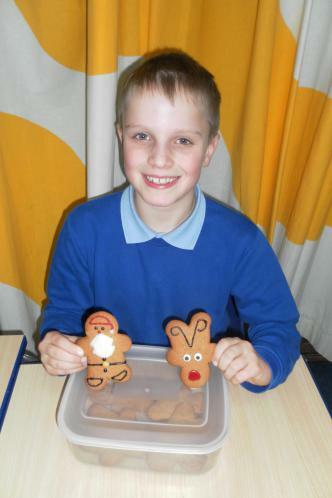 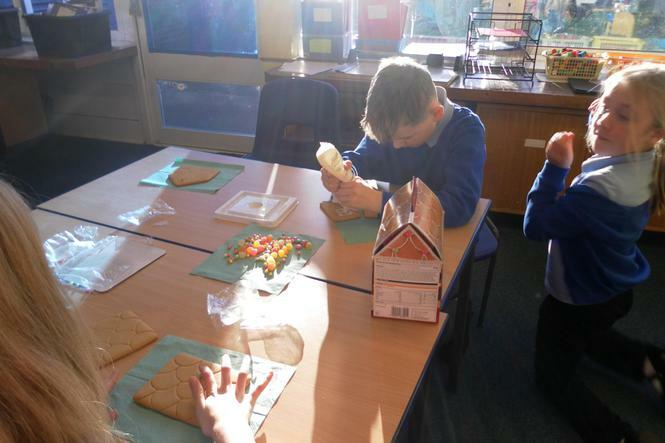 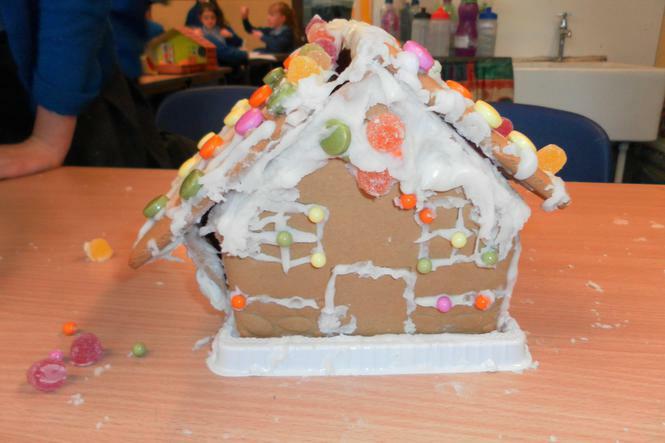 This week has been Gingerbread week, all of our lessons have been based on a gingerbread theme. 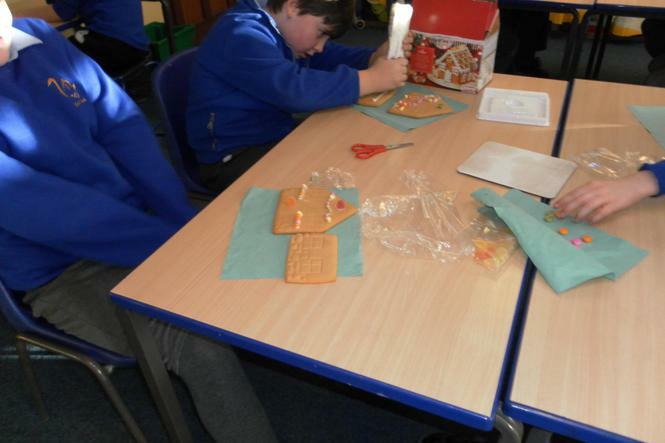 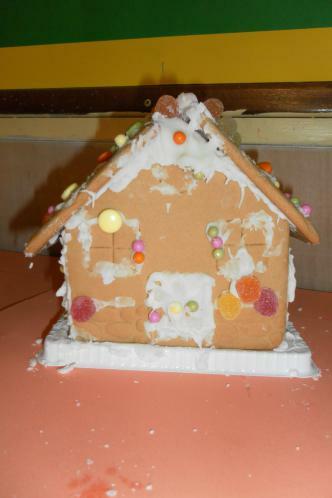 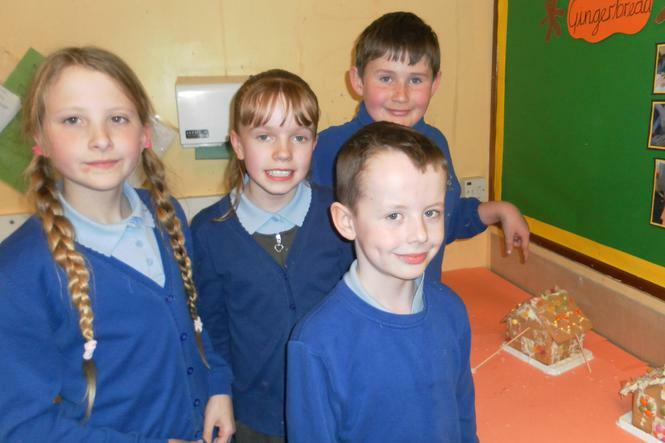 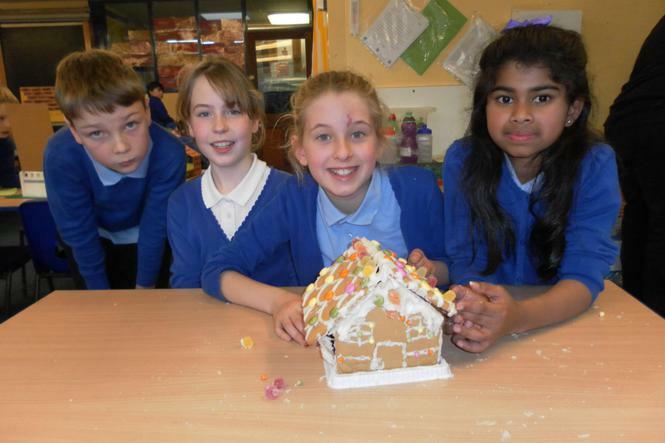 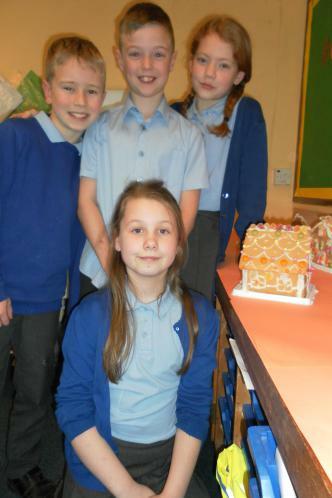 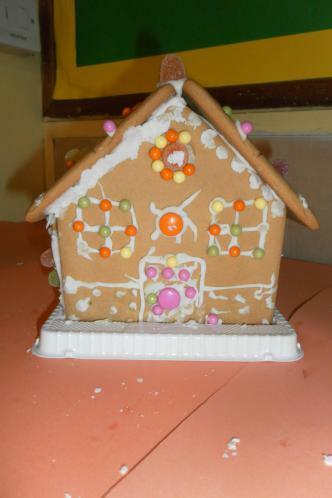 It has been a fun week and ended with us building and decorating a Gingerbread house. 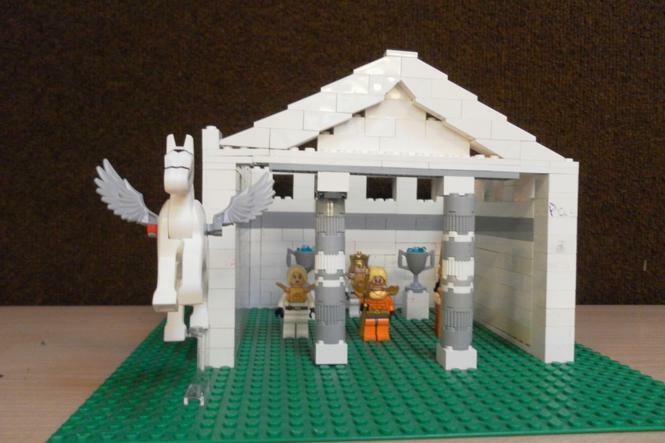 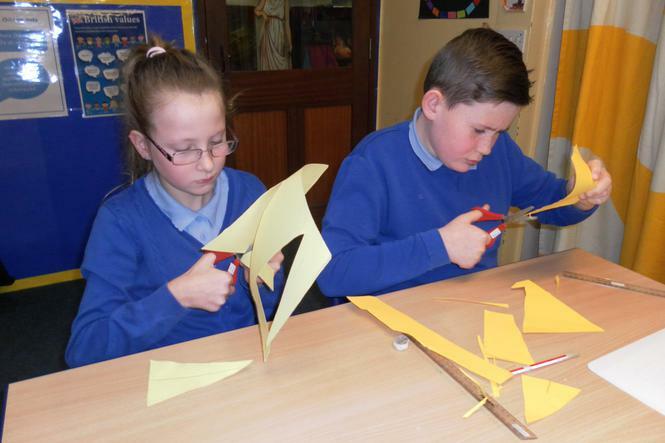 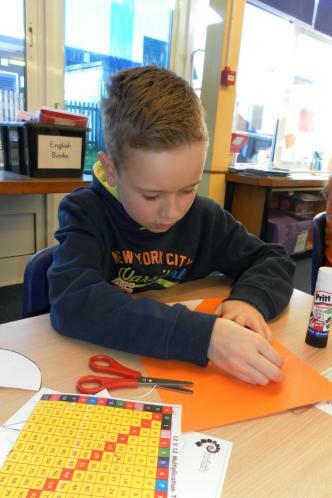 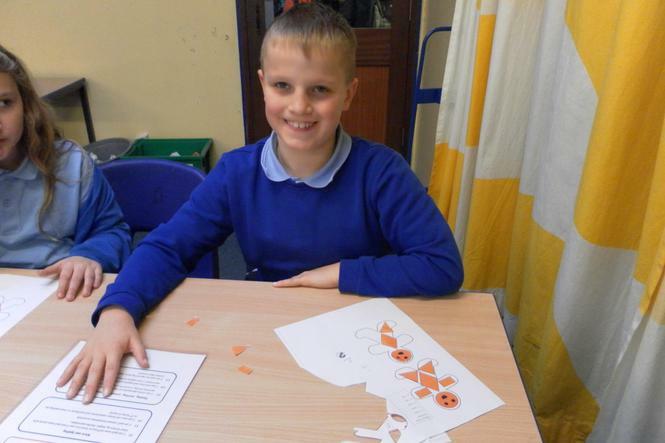 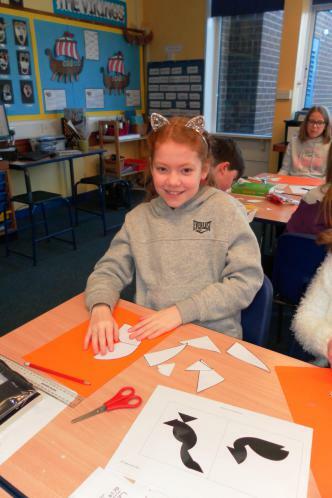 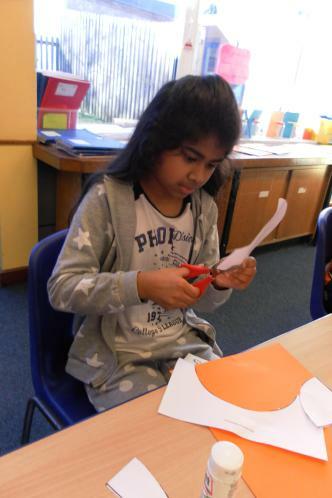 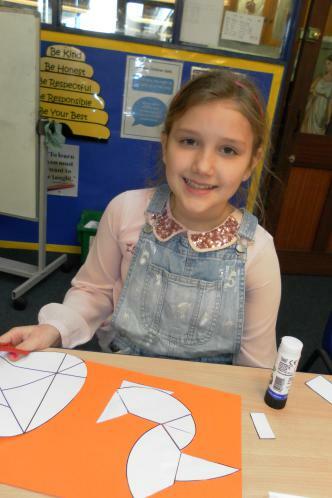 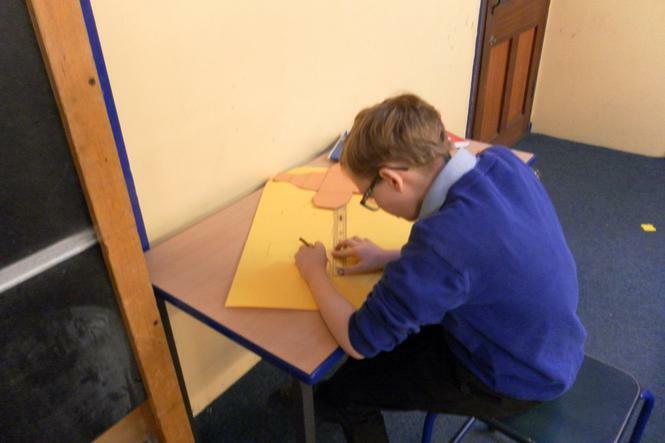 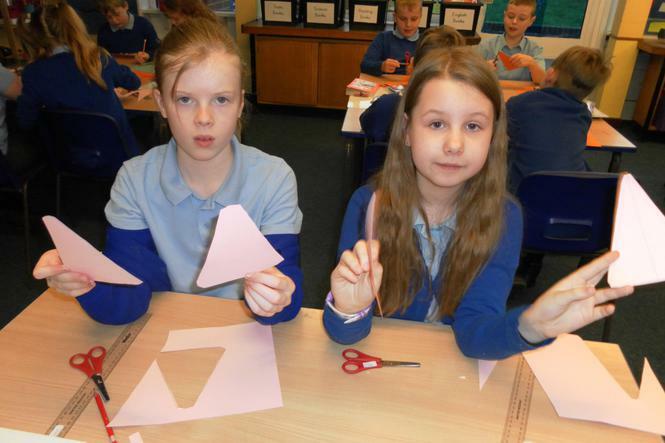 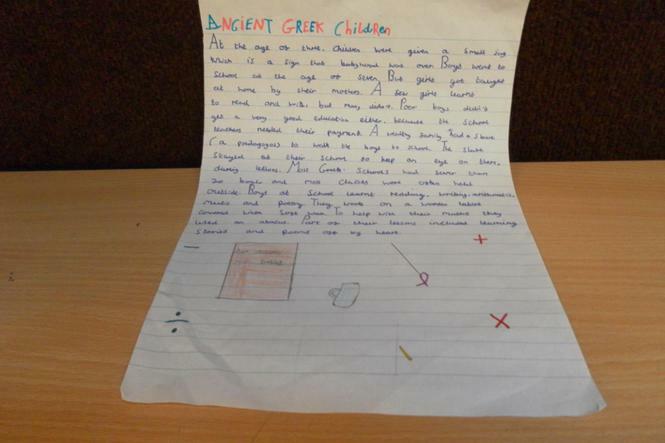 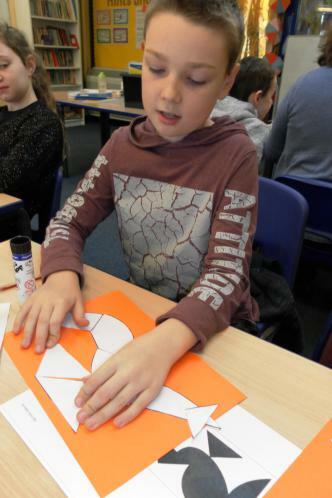 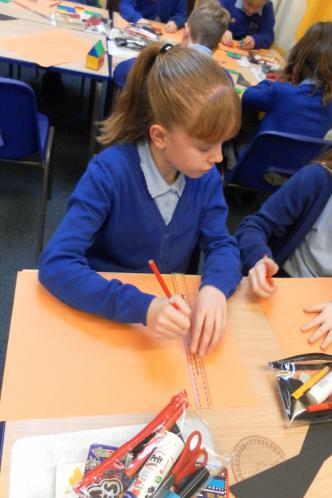 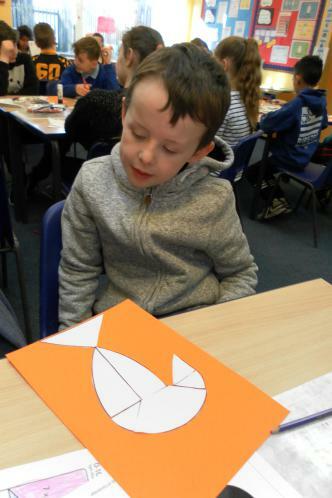 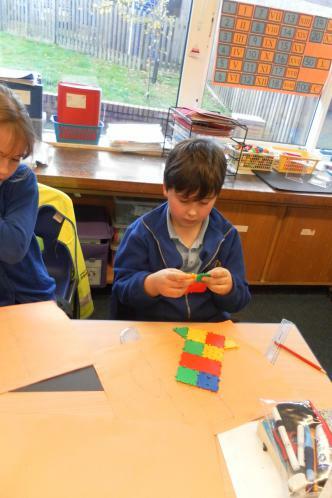 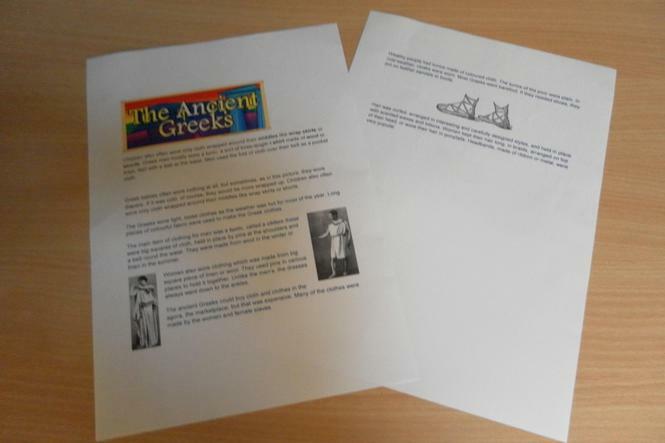 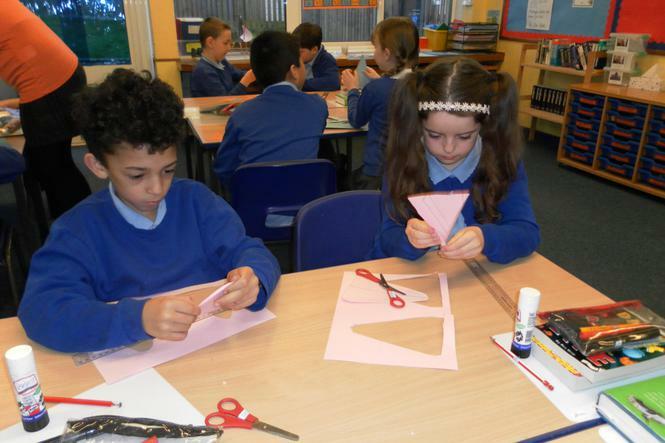 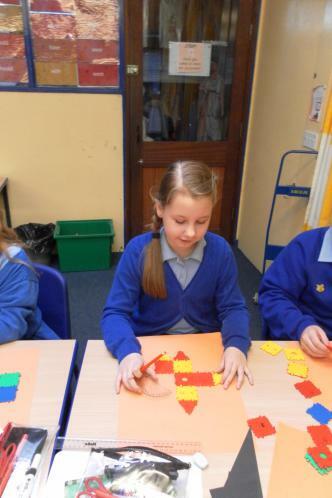 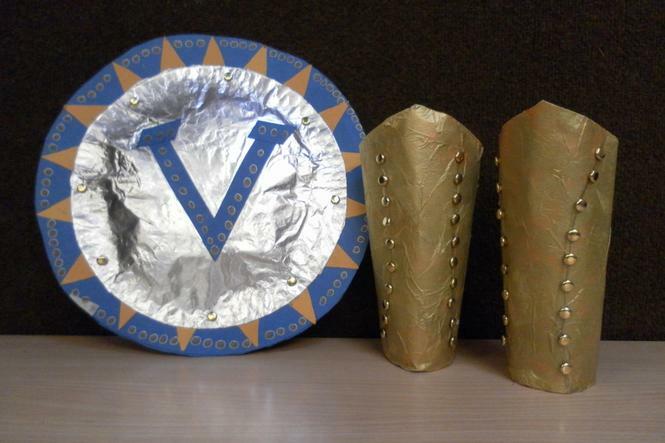 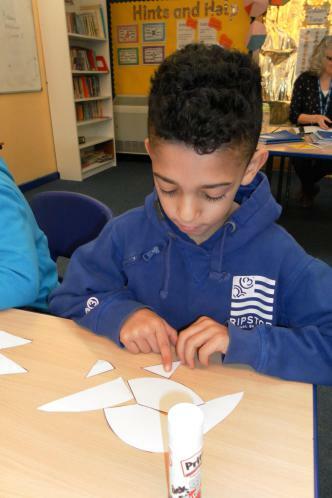 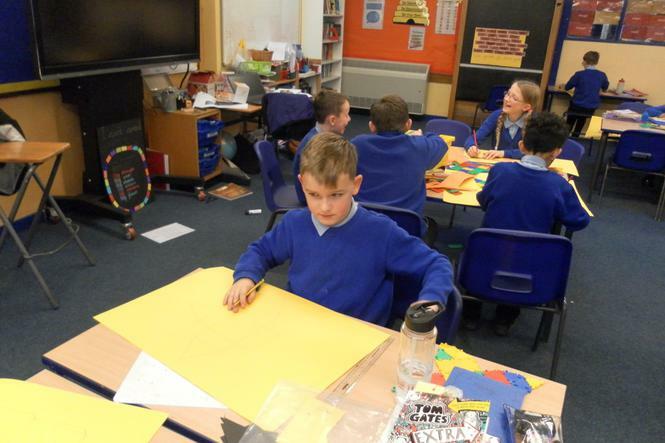 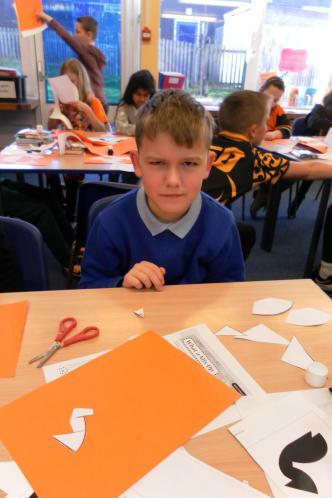 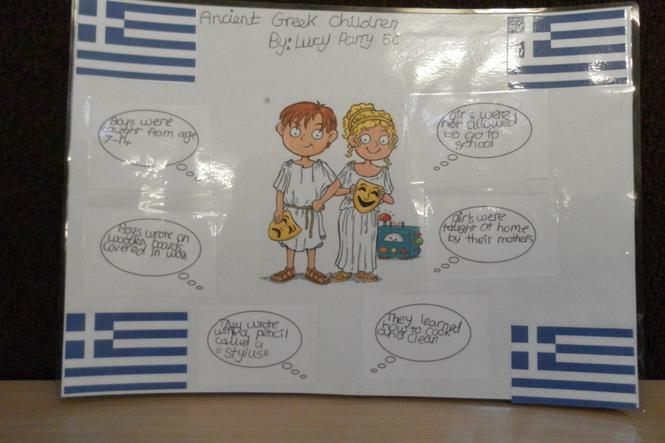 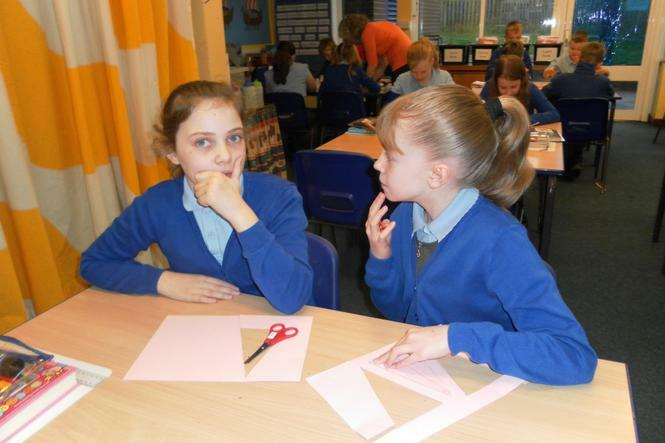 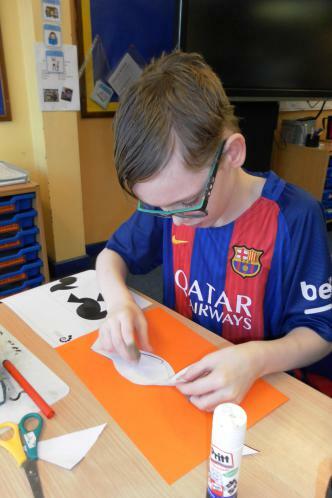 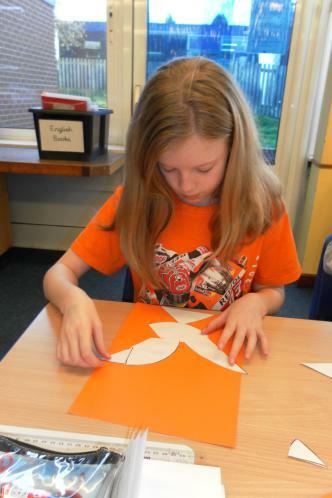 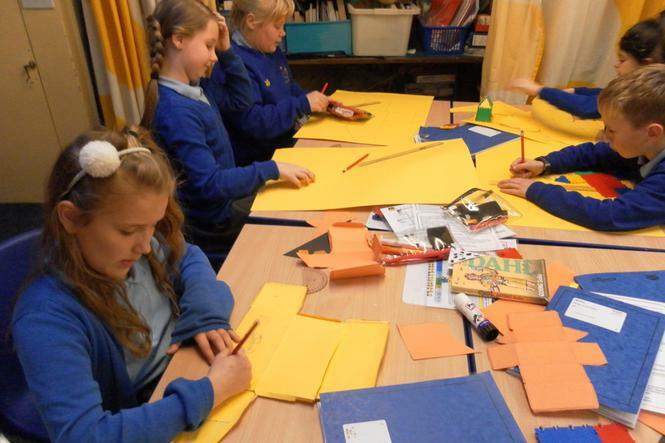 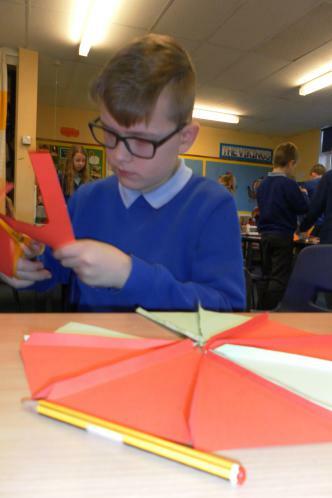 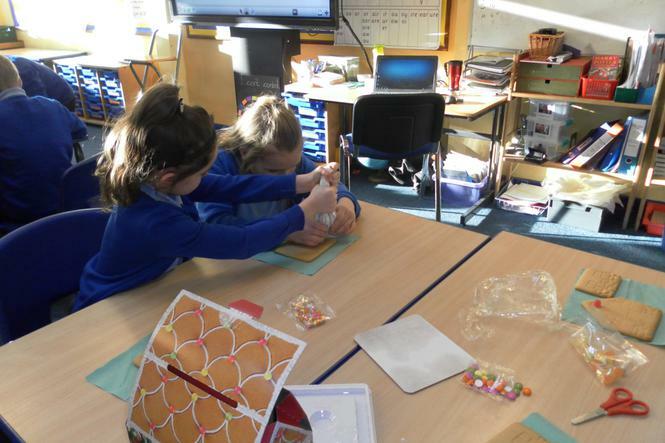 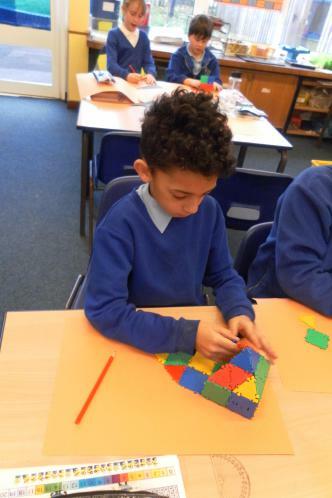 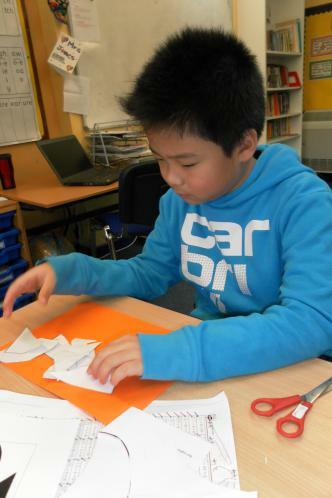 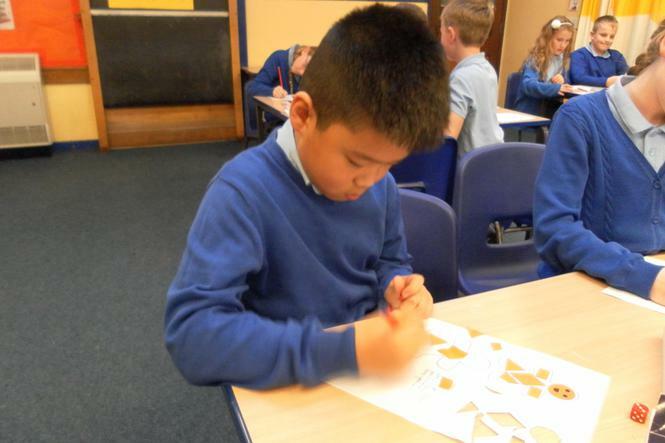 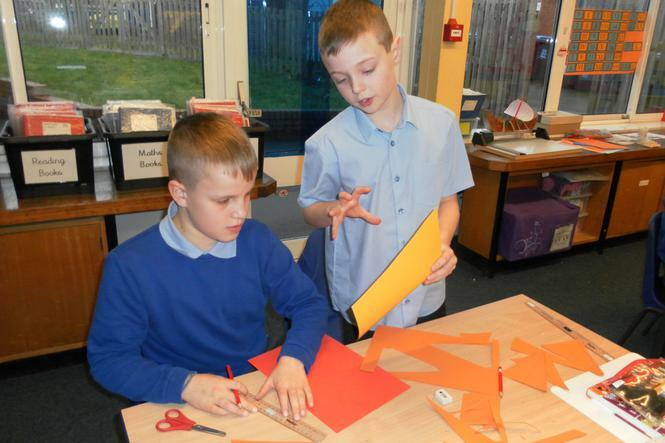 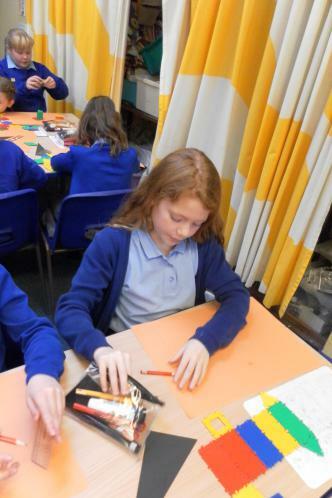 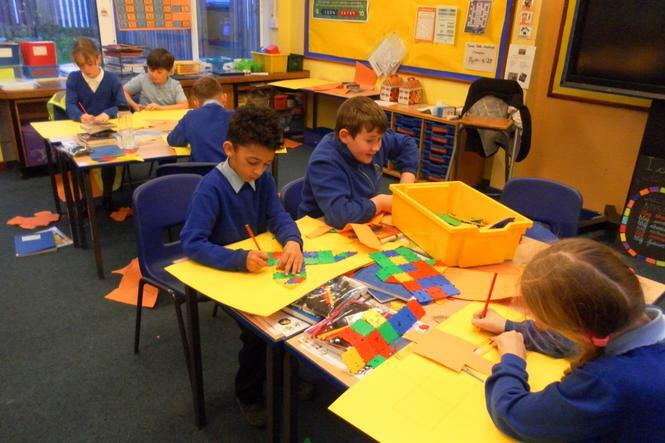 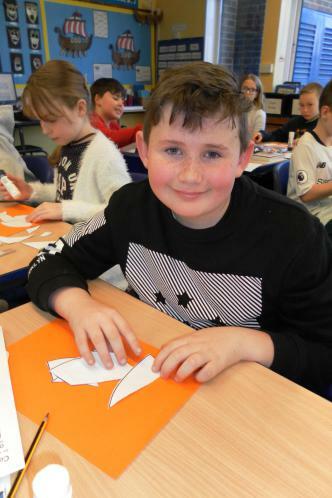 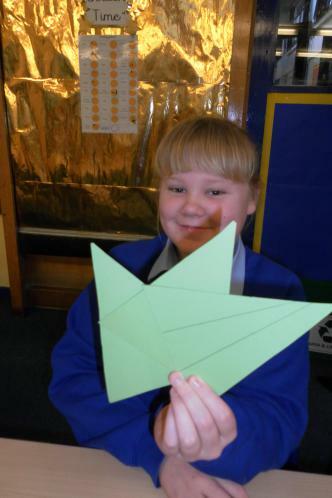 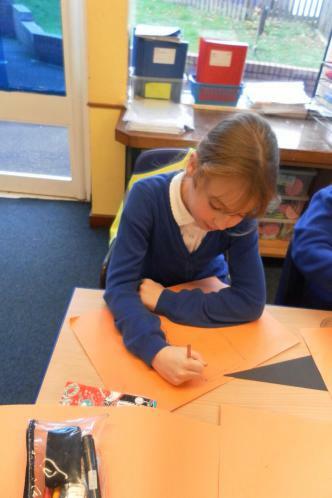 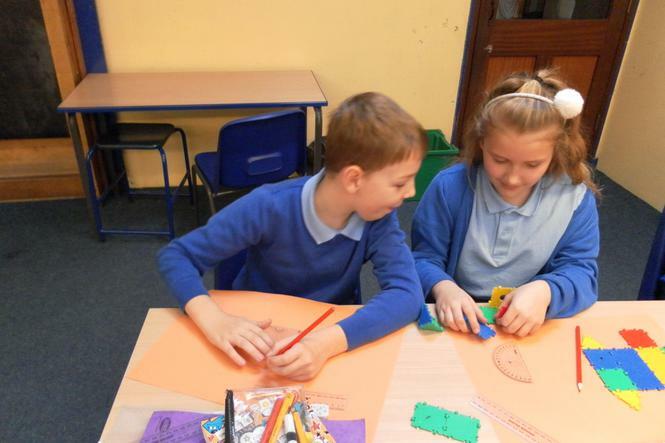 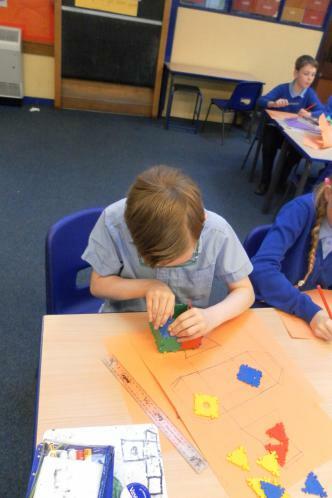 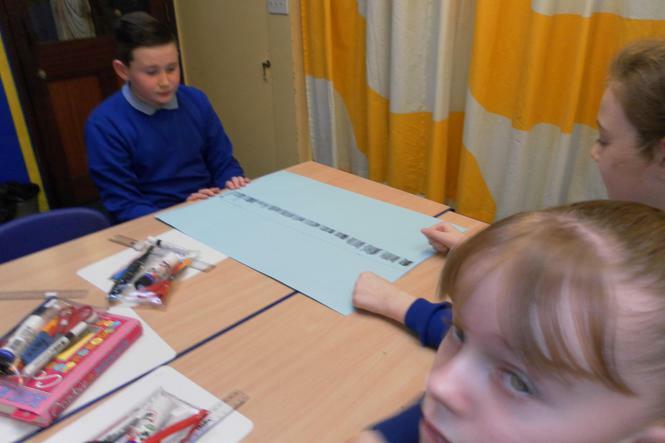 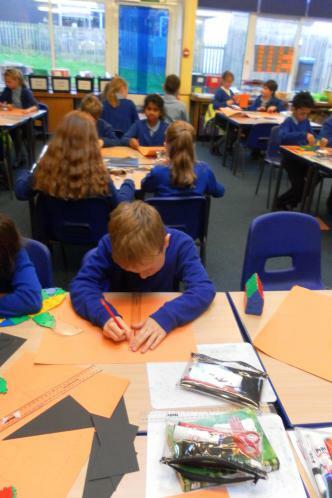 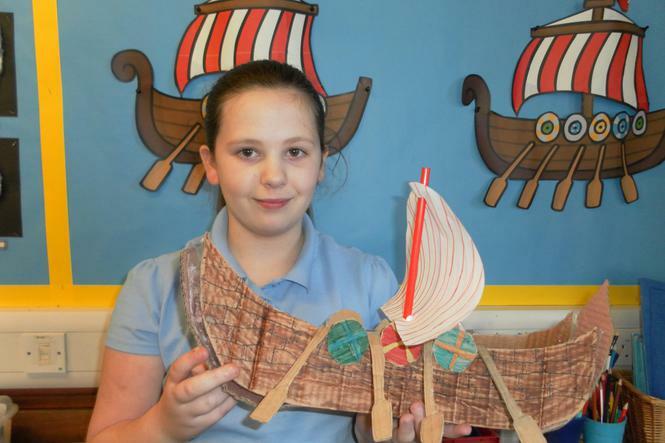 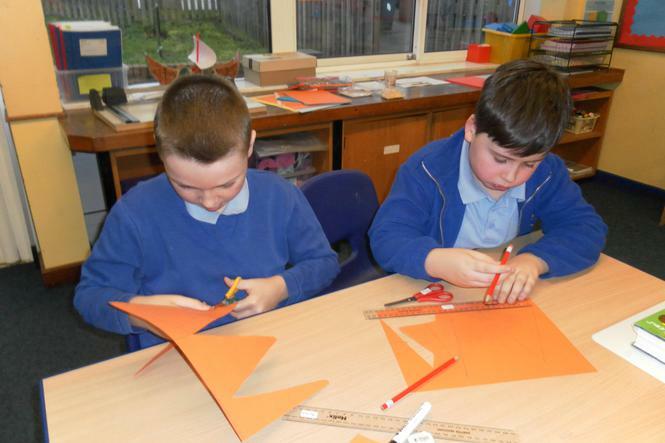 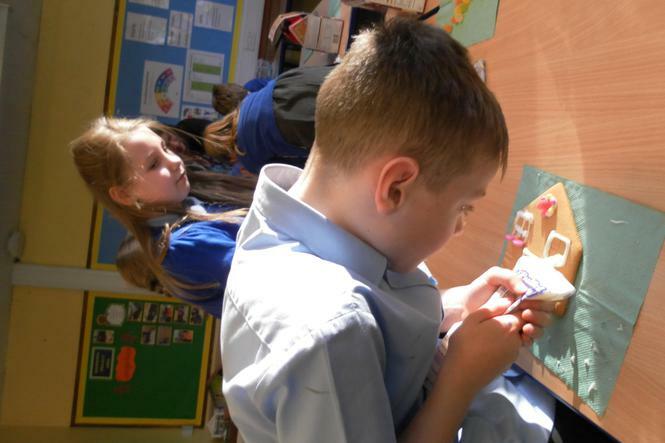 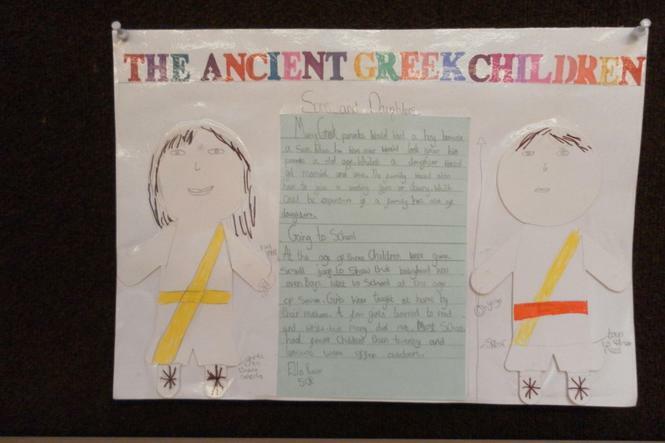 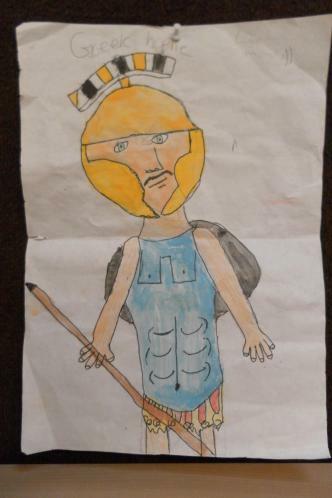 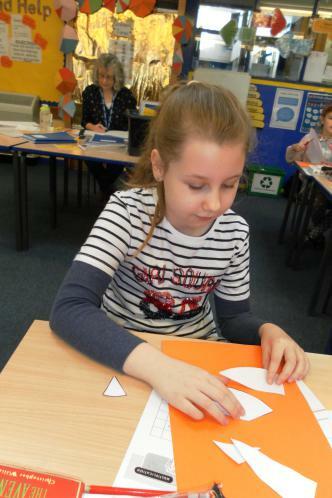 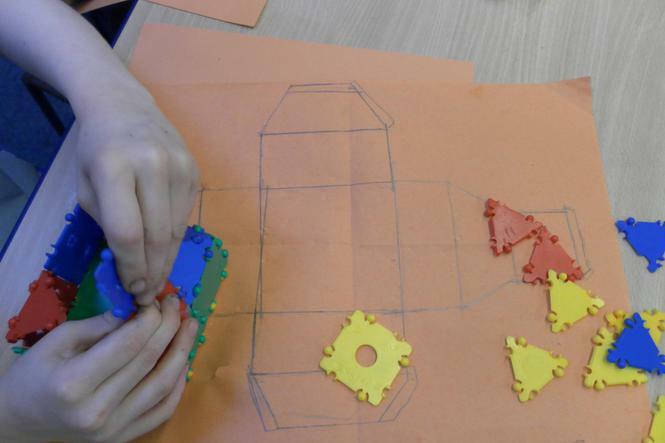 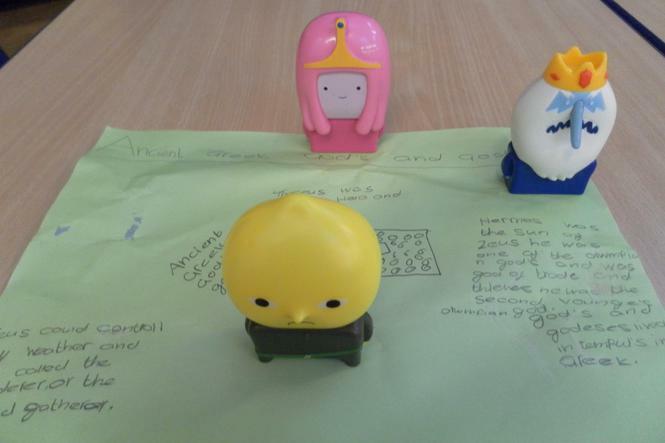 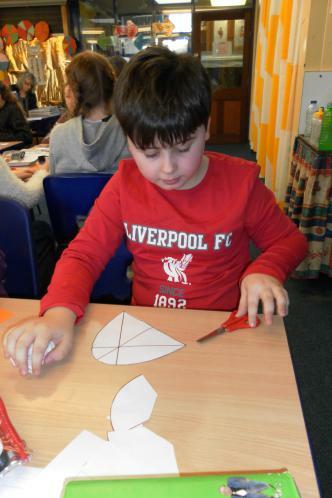 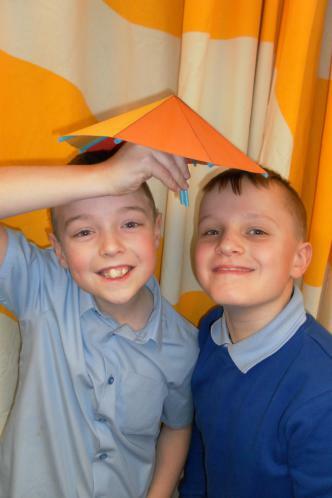 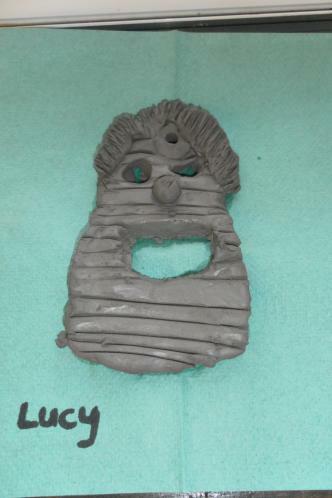 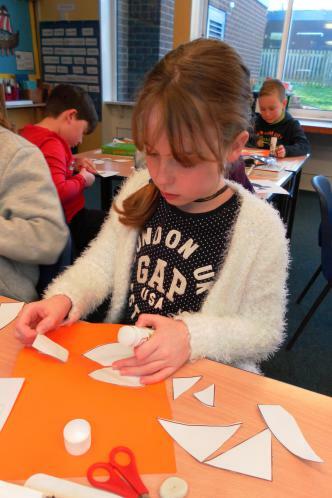 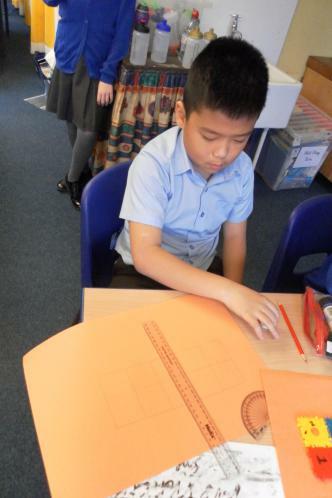 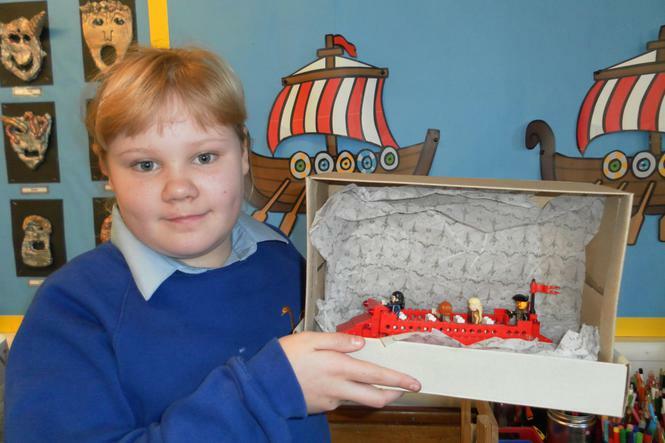 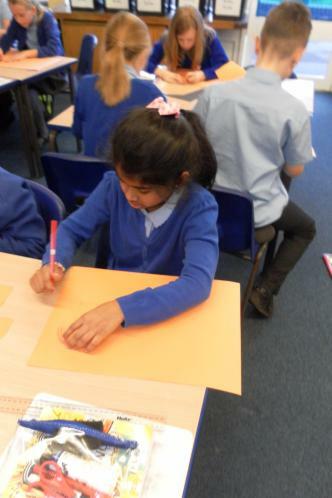 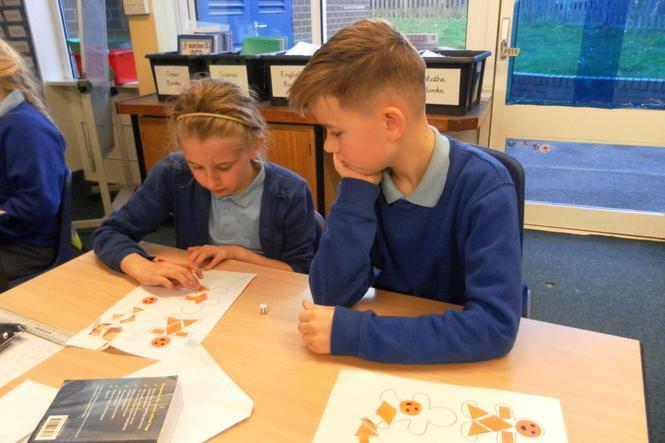 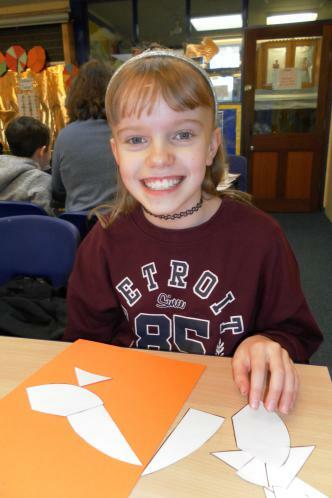 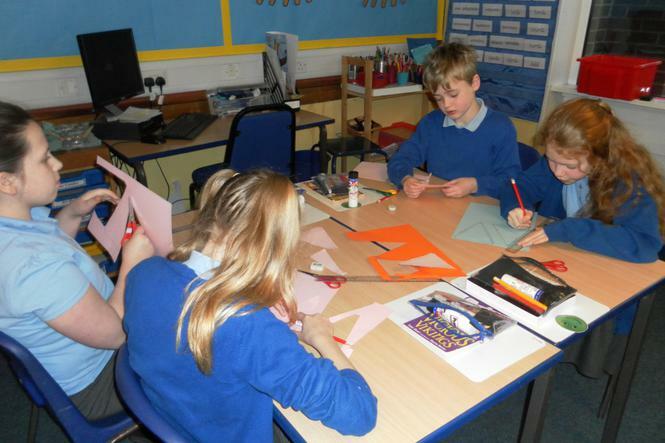 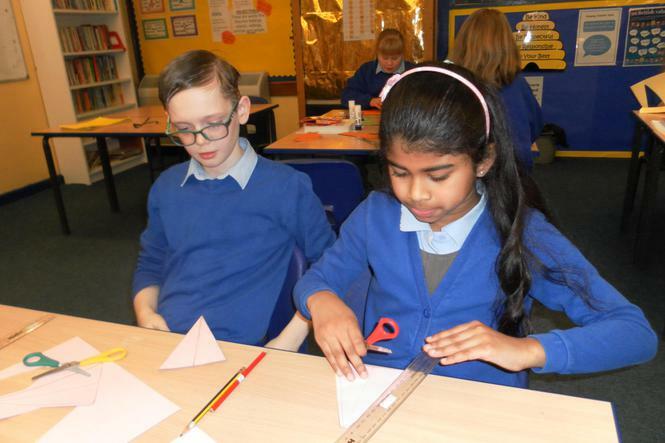 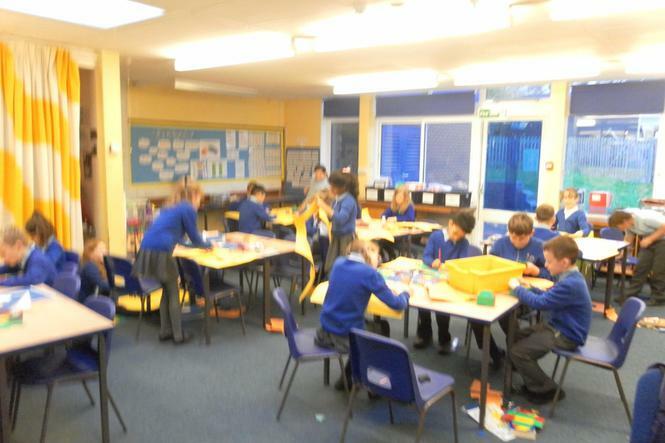 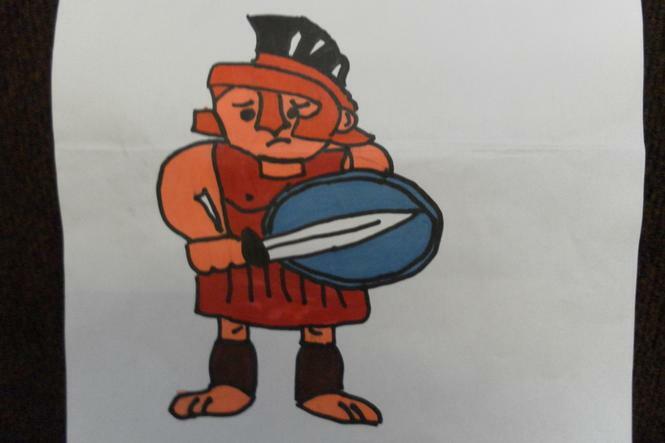 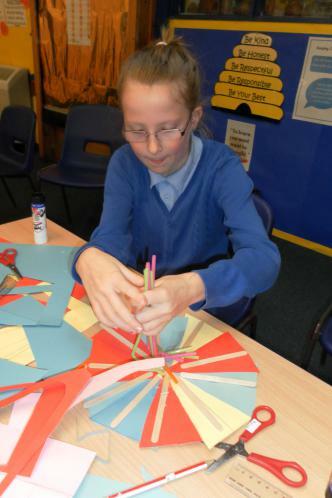 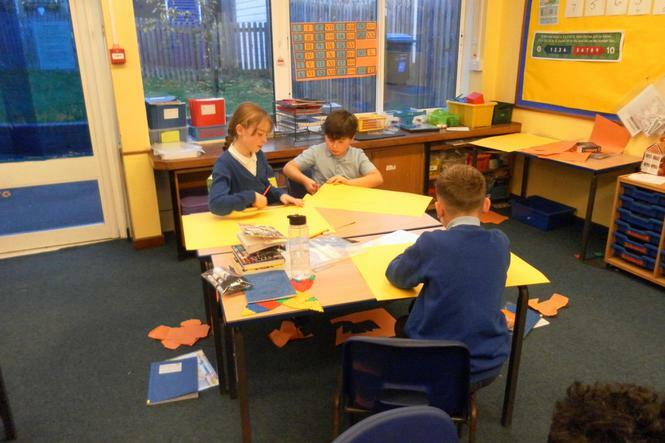 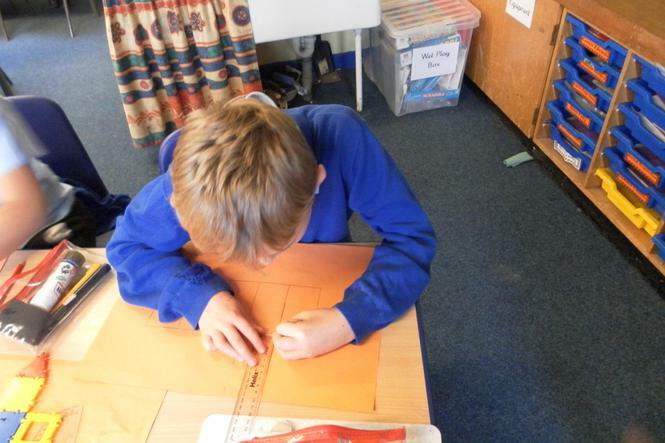 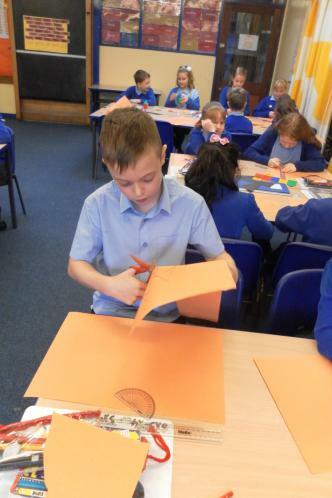 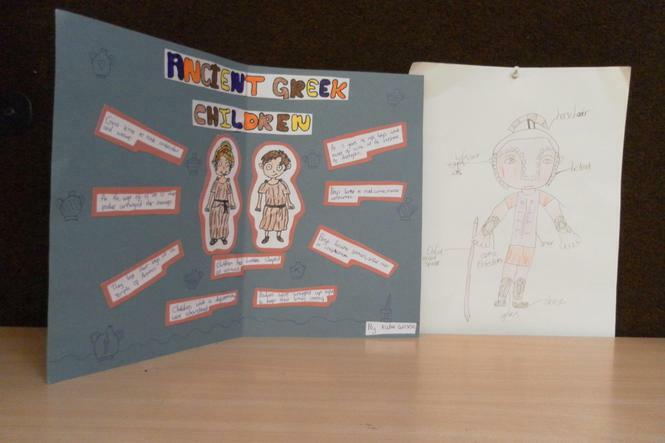 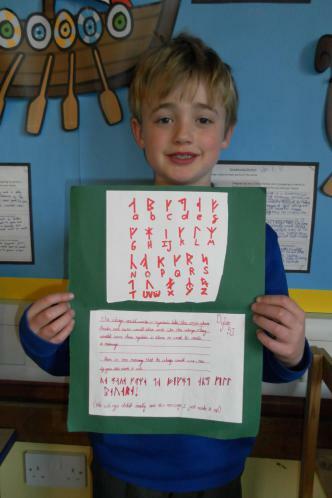 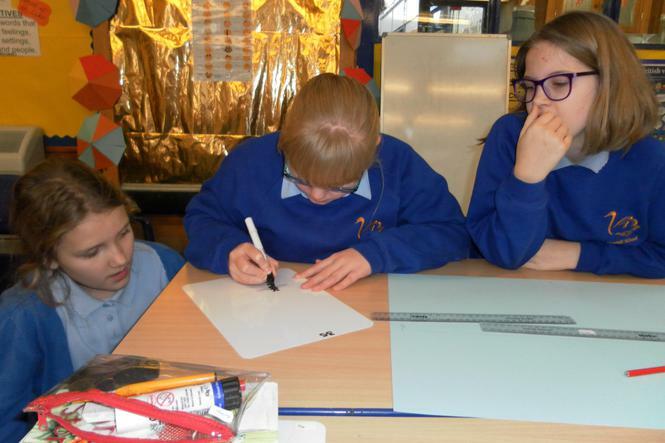 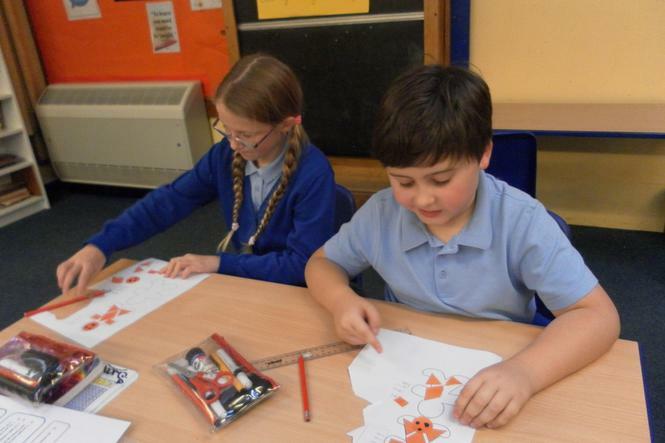 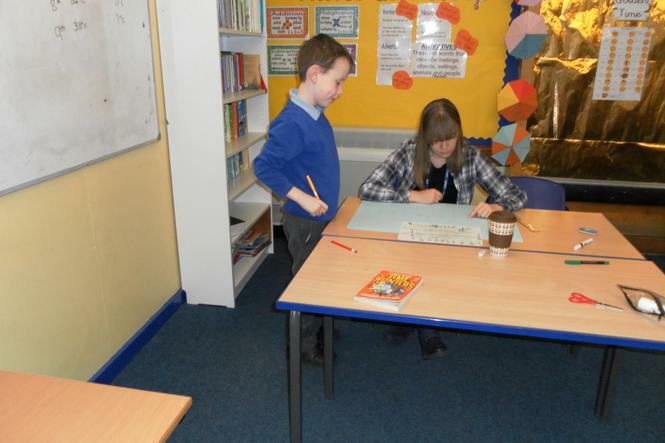 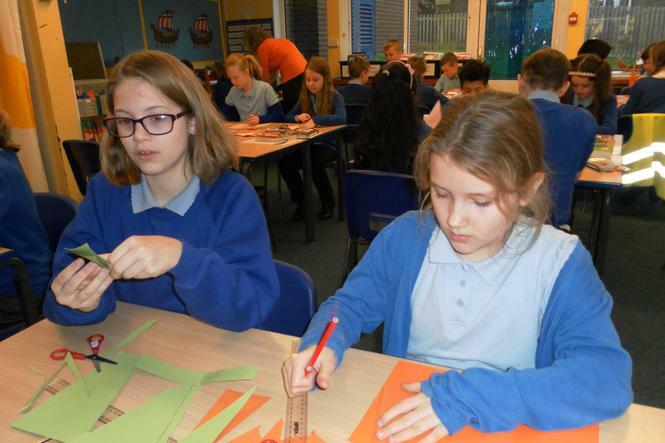 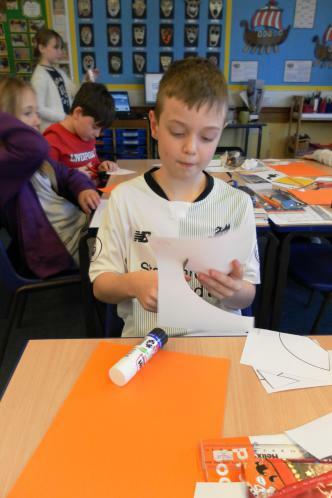 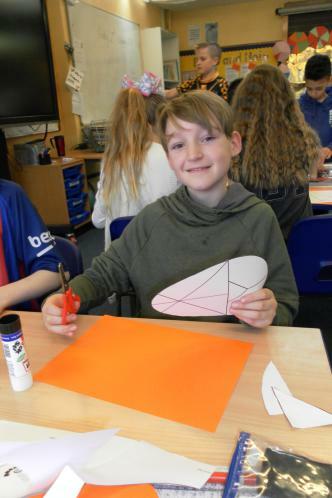 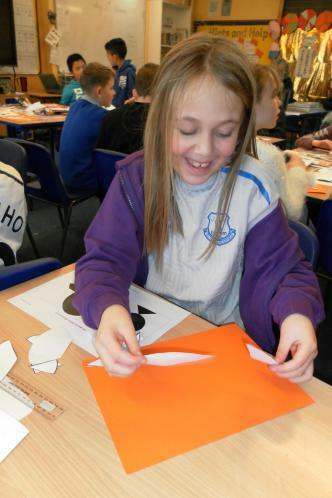 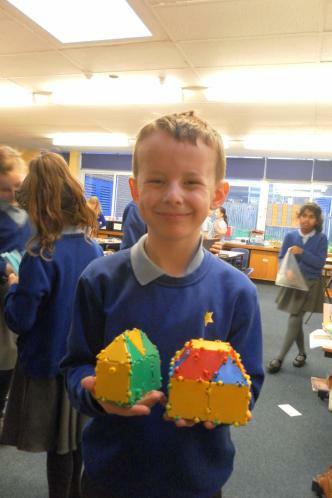 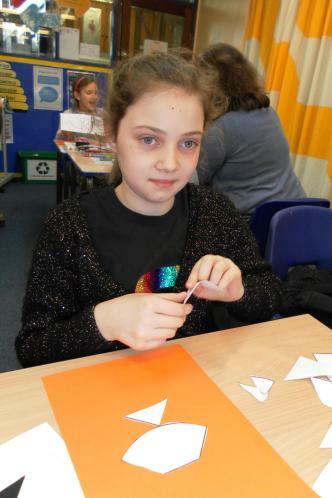 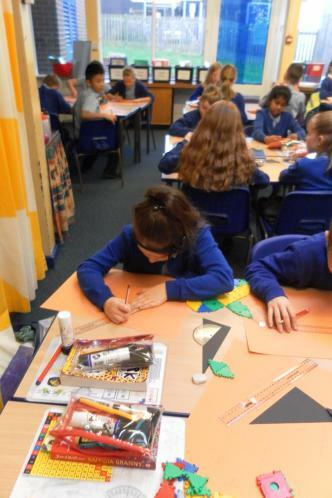 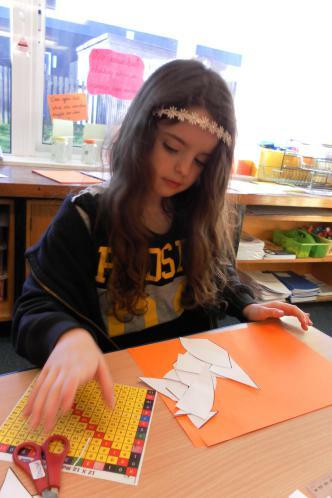 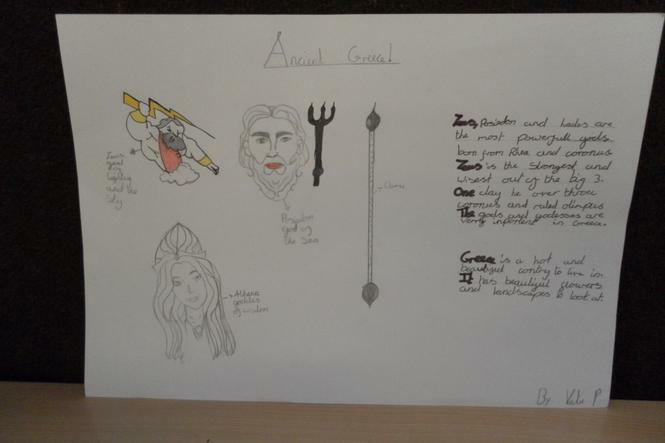 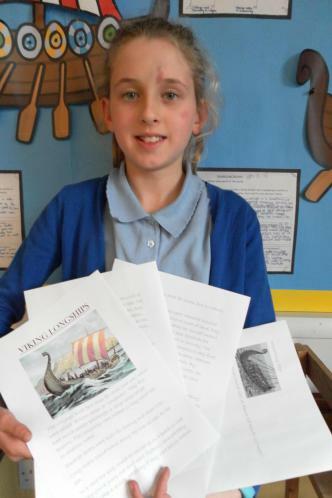 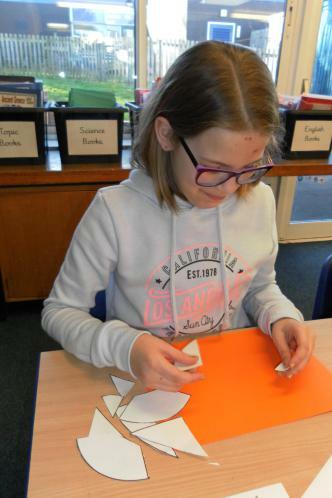 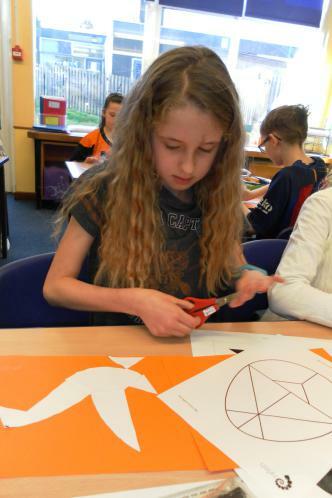 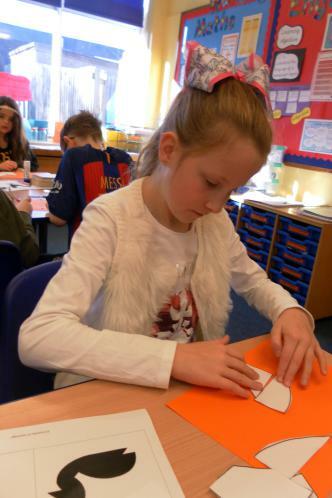 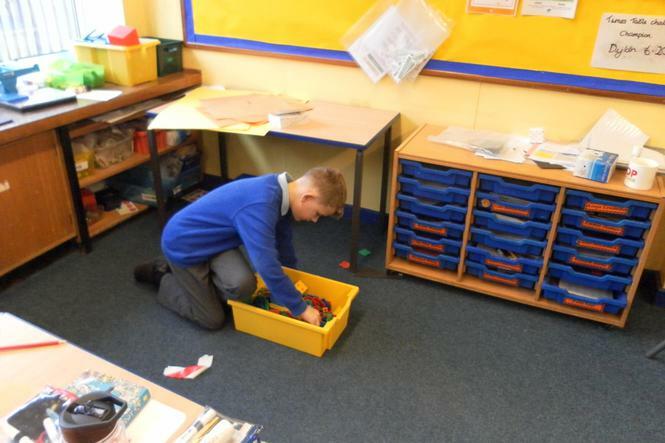 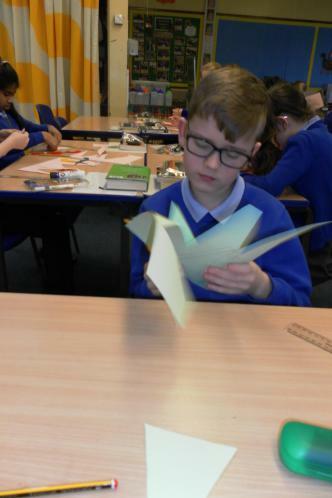 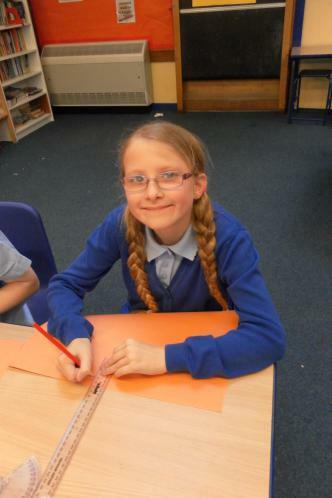 For our topic this term we have been learning about the Ancient Greeks, these are photographs of the work we did at home as part of our homework project.